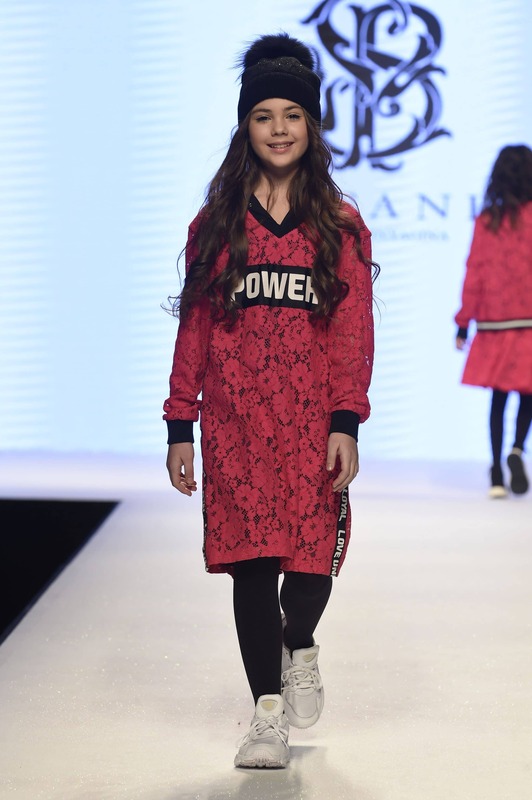 Sporty, chic, floral, pop, urban, international, glamourous, fun. 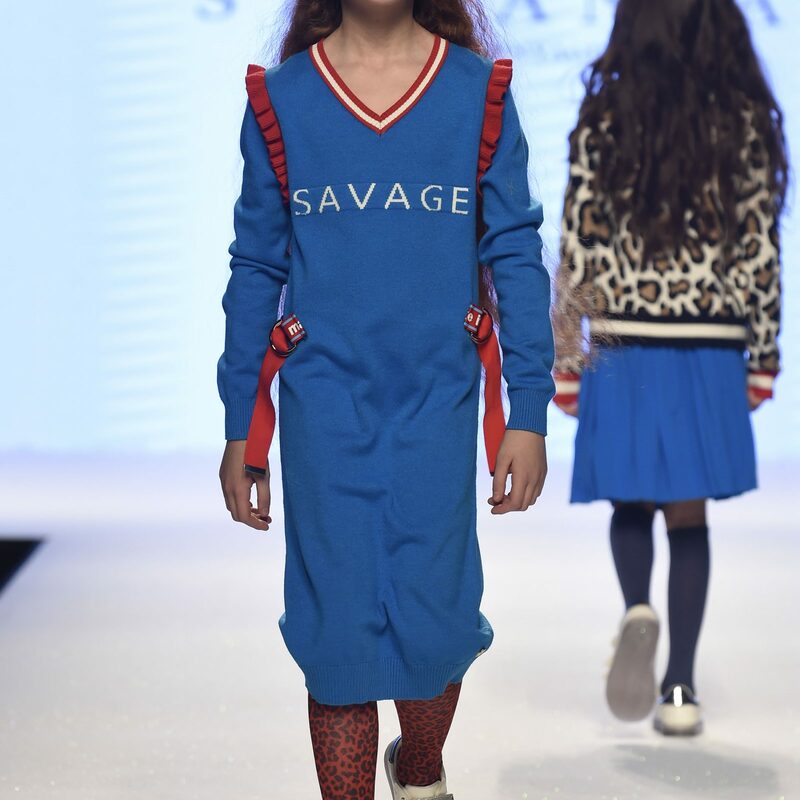 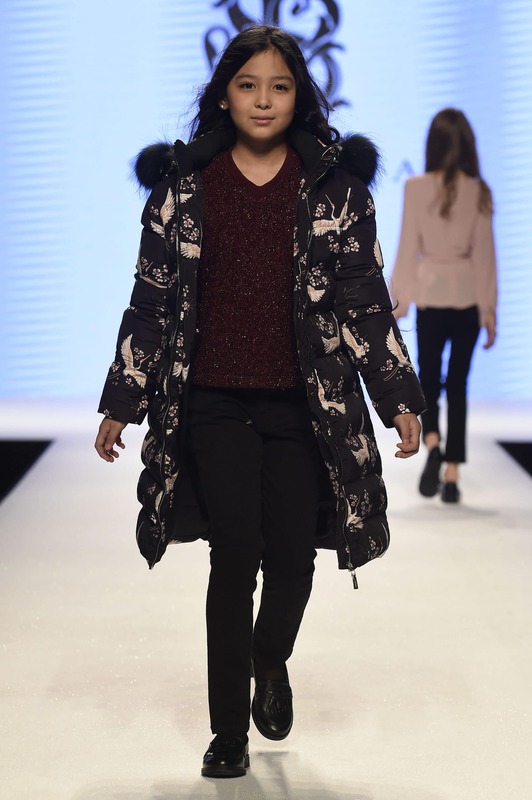 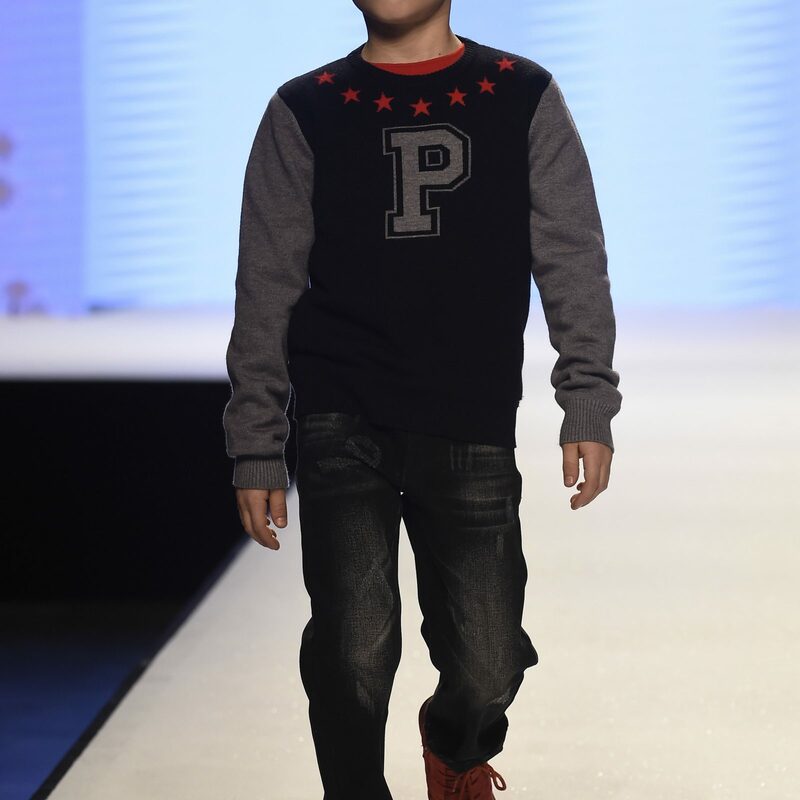 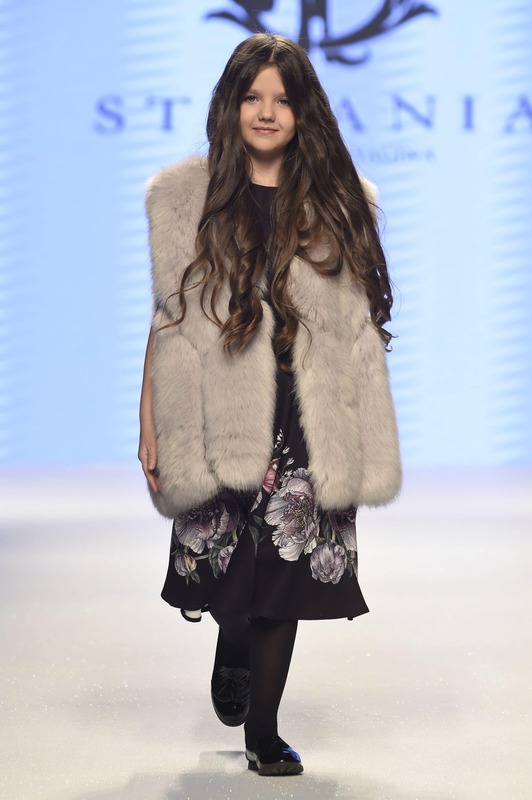 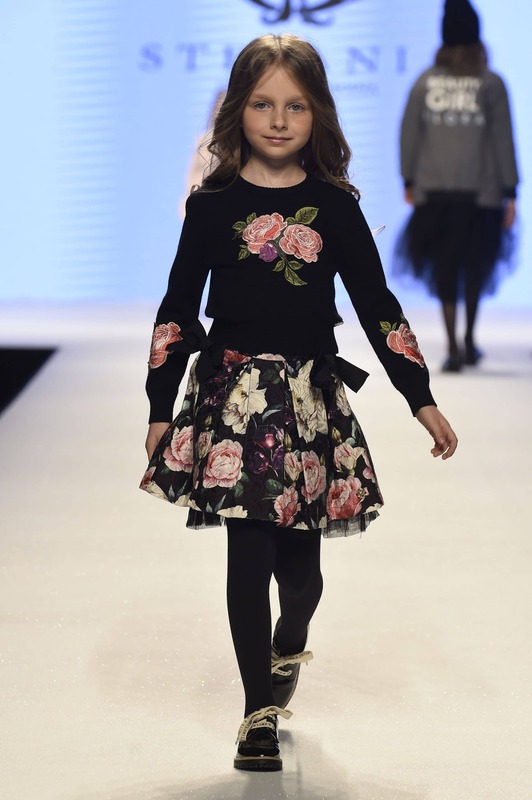 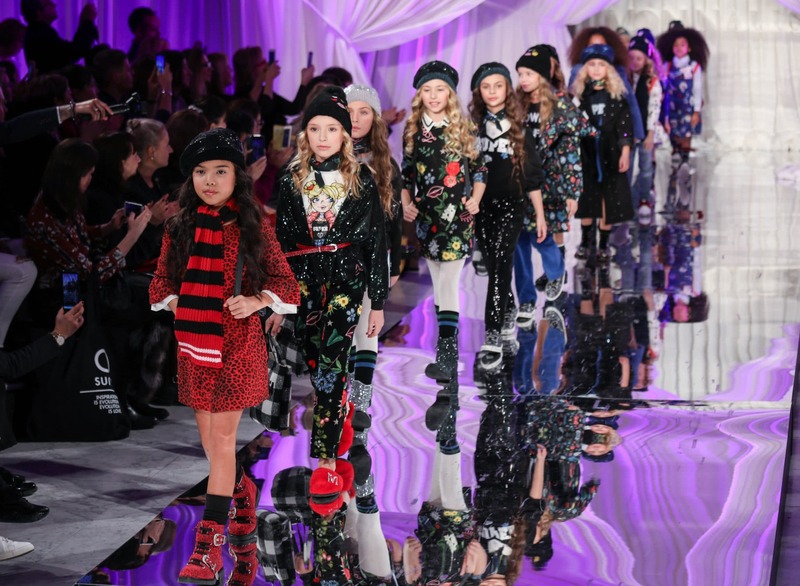 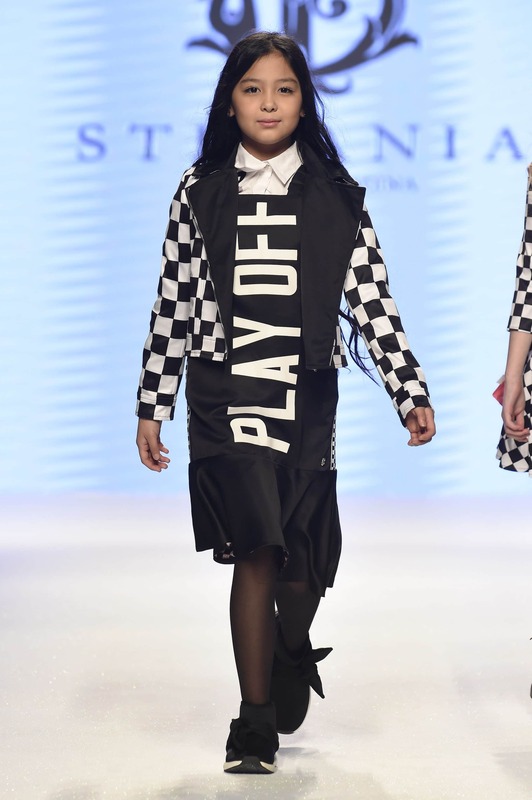 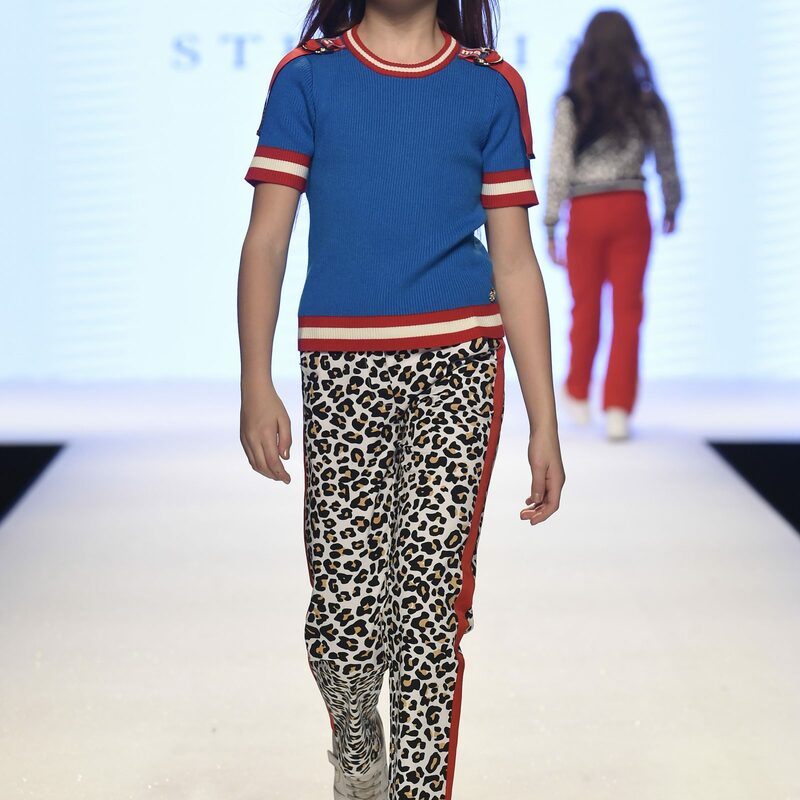 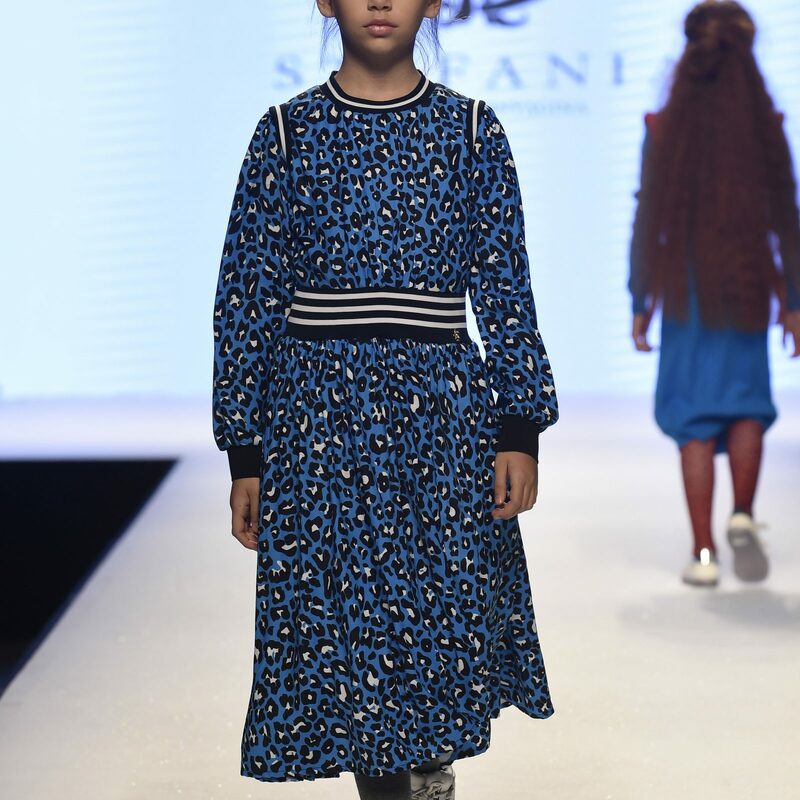 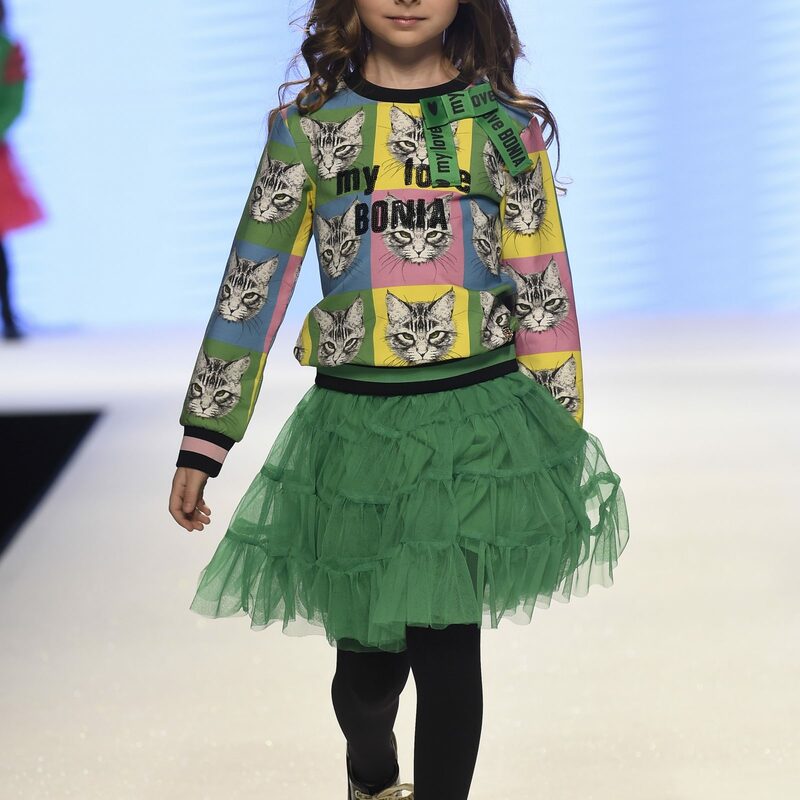 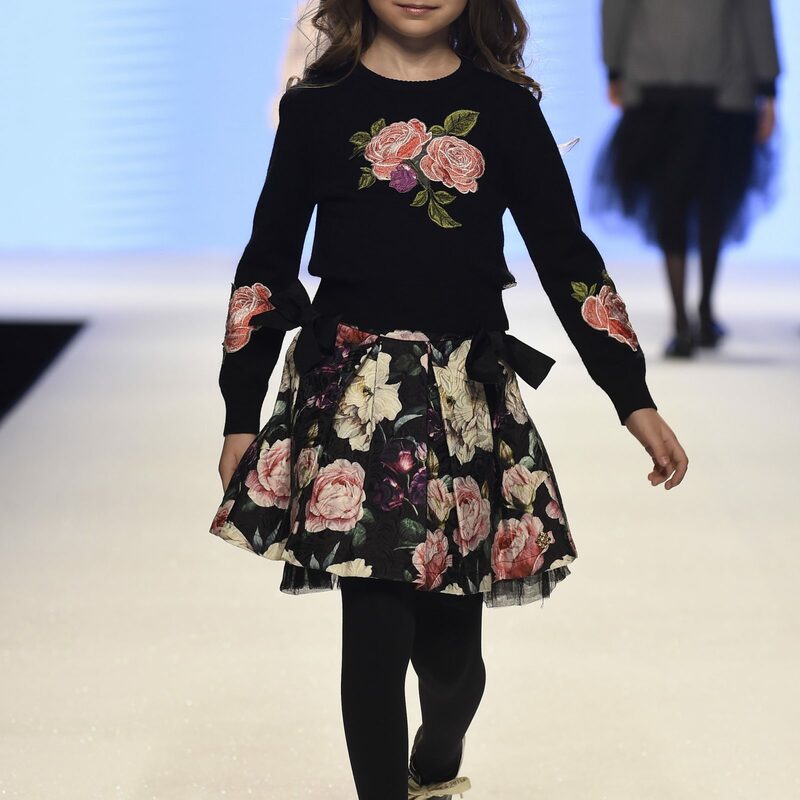 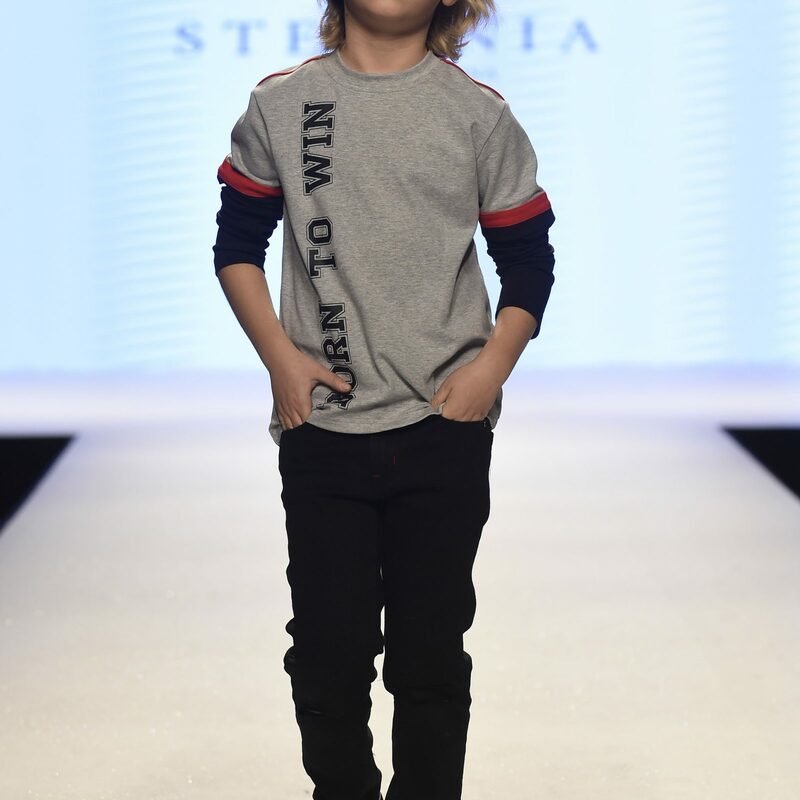 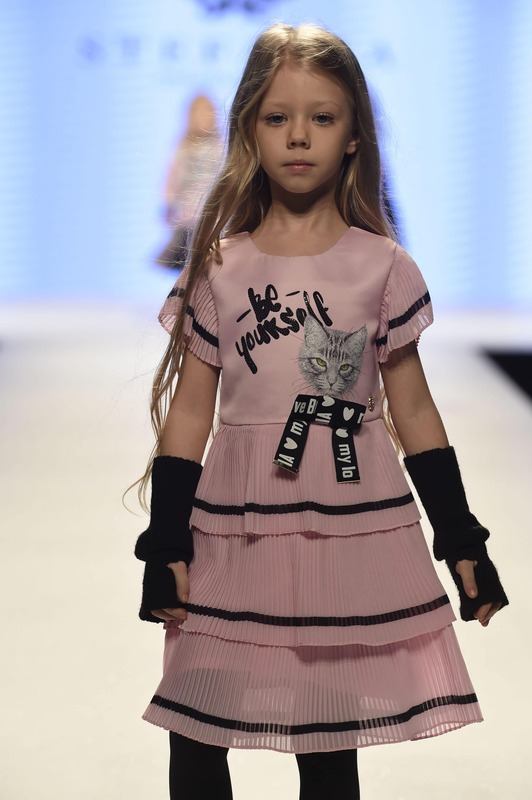 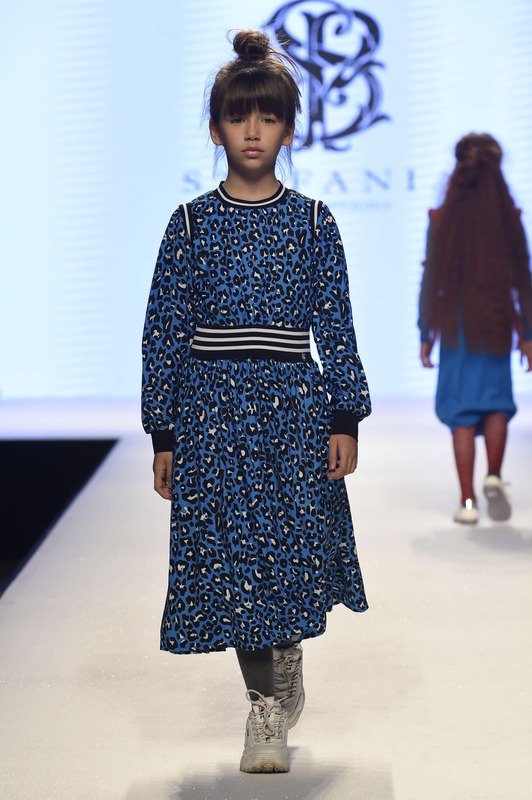 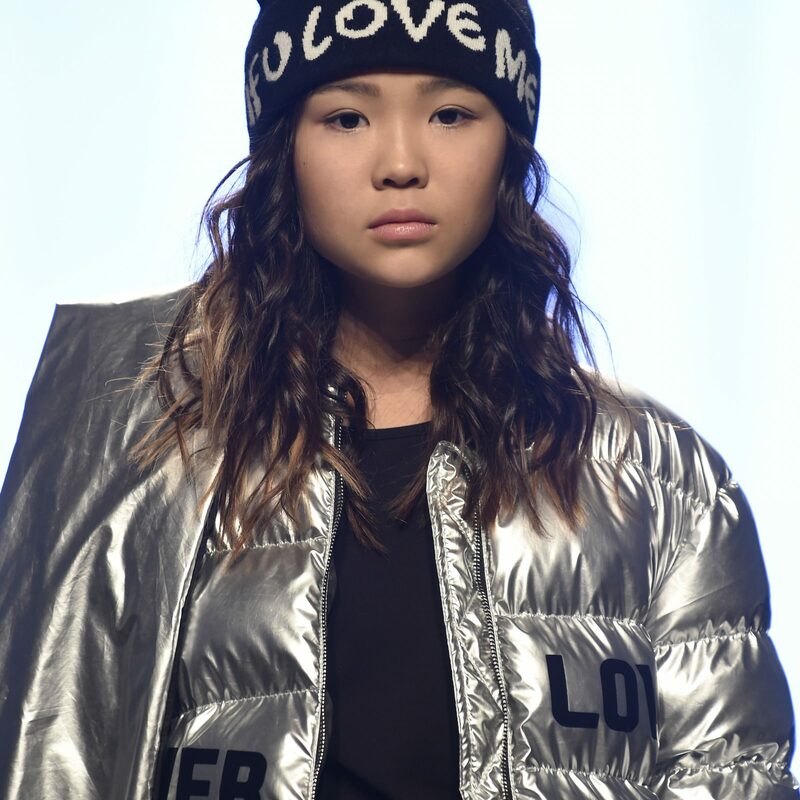 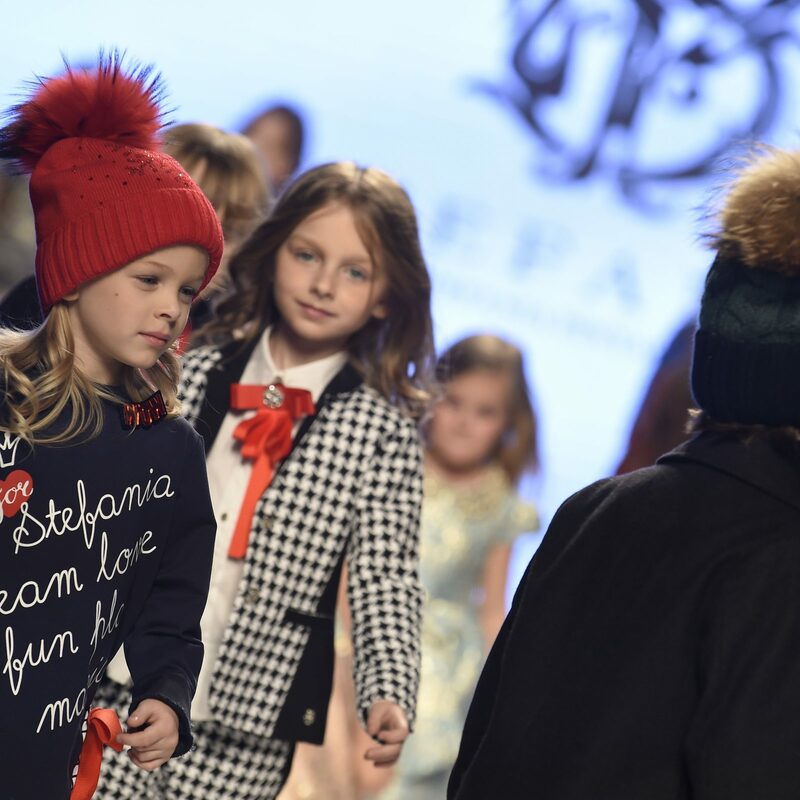 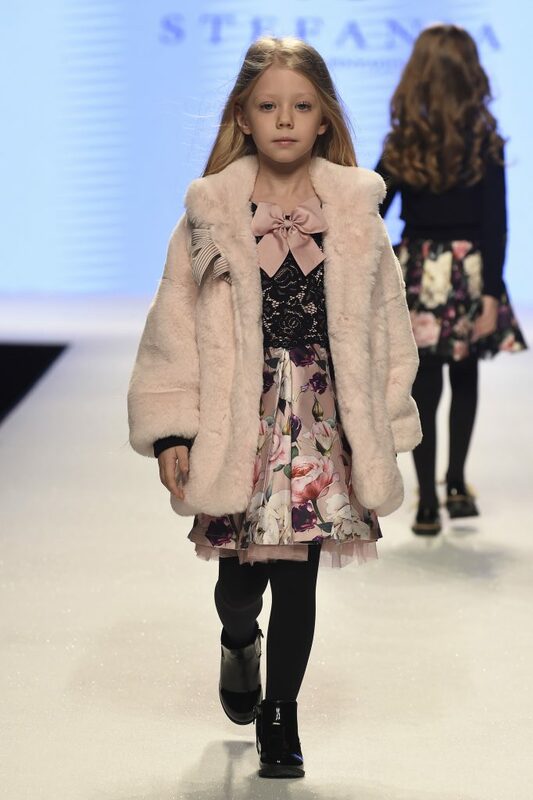 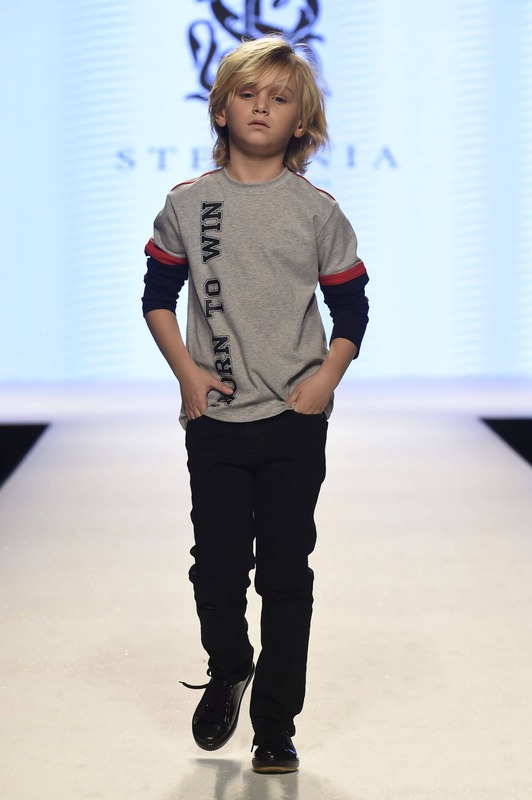 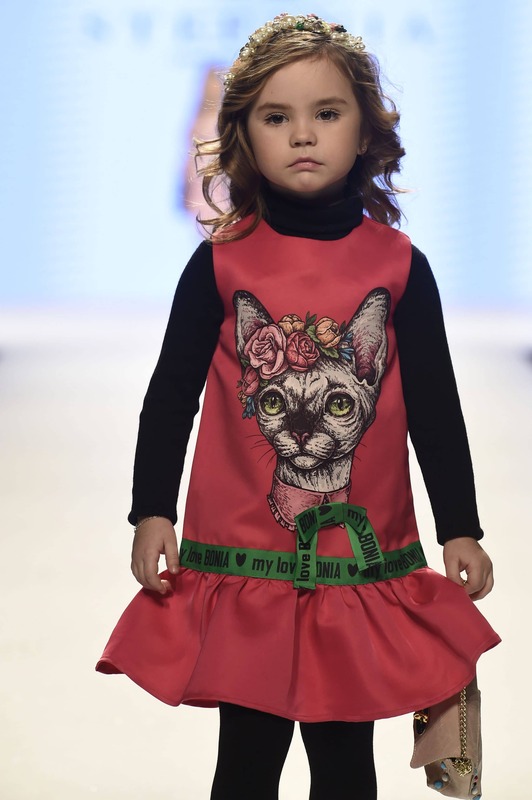 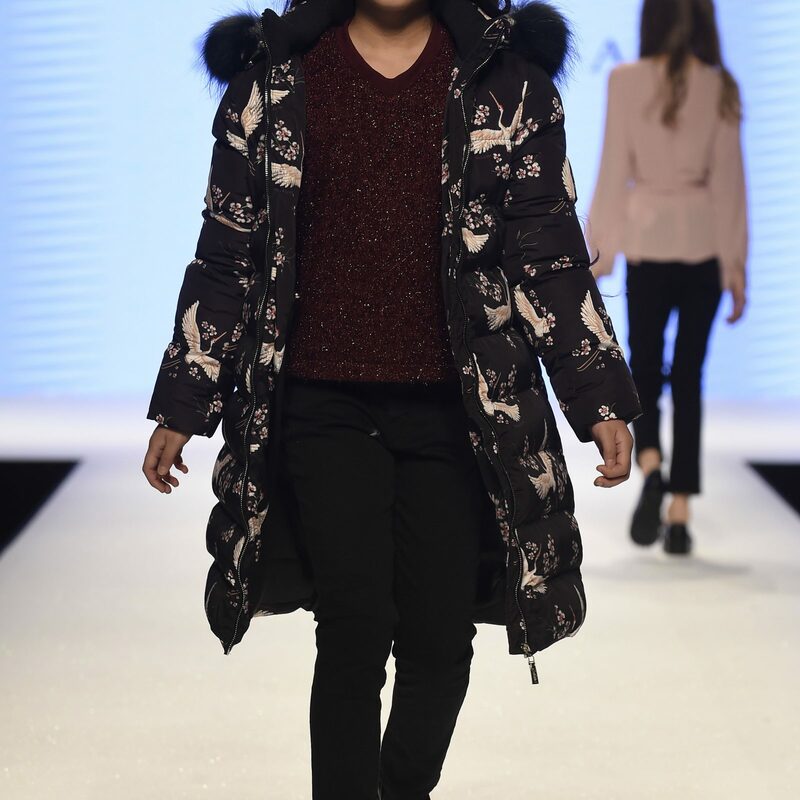 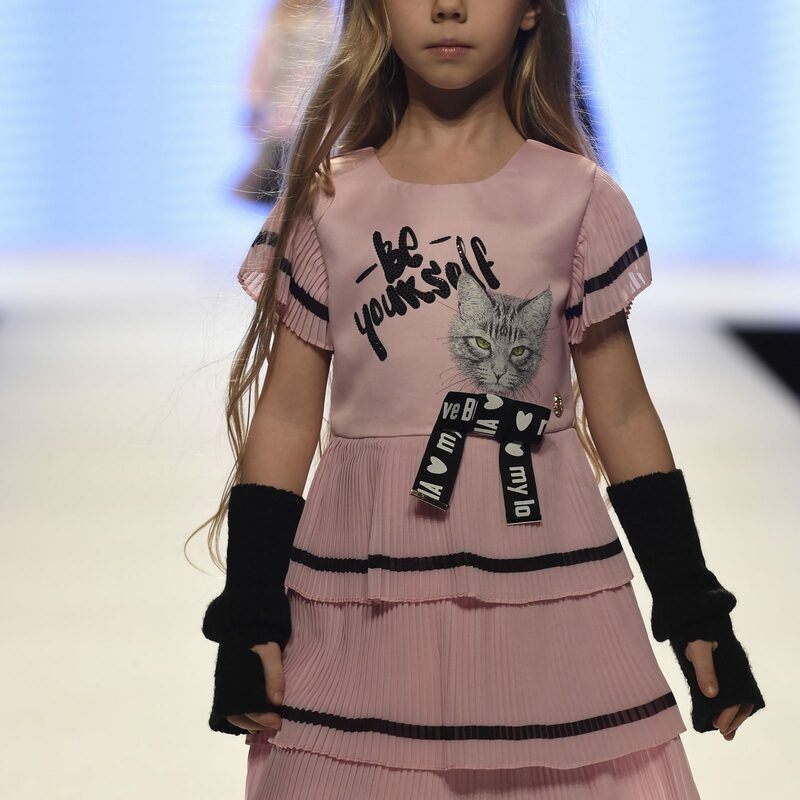 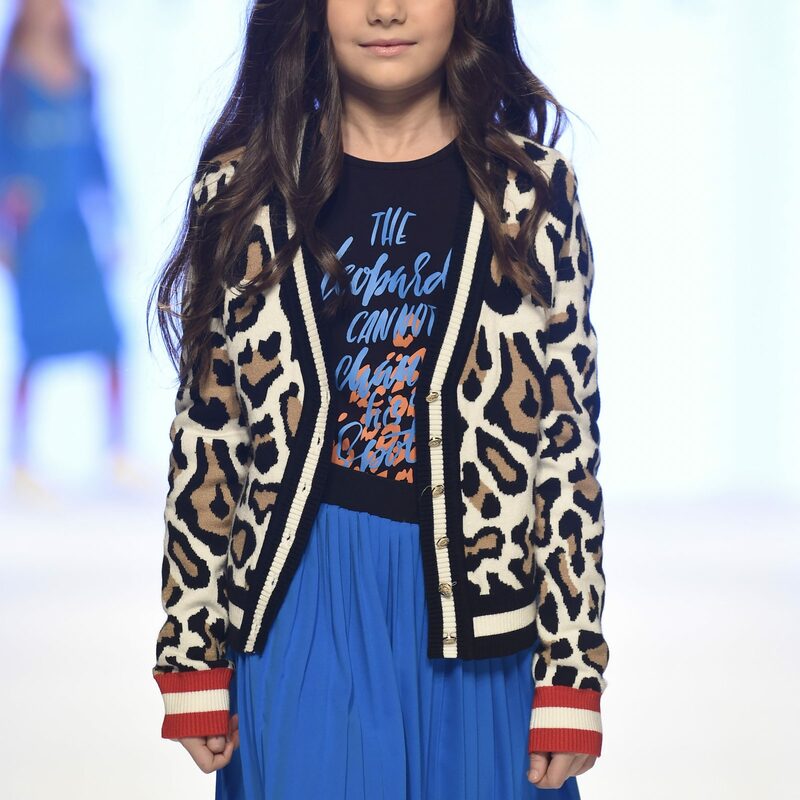 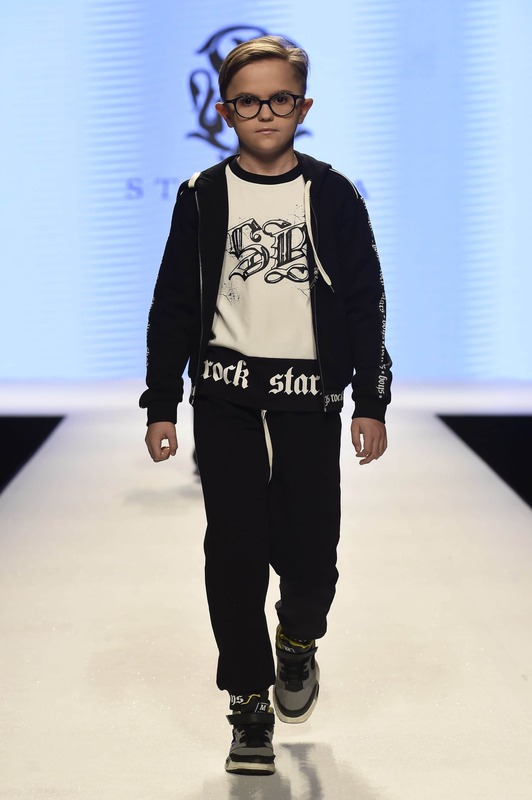 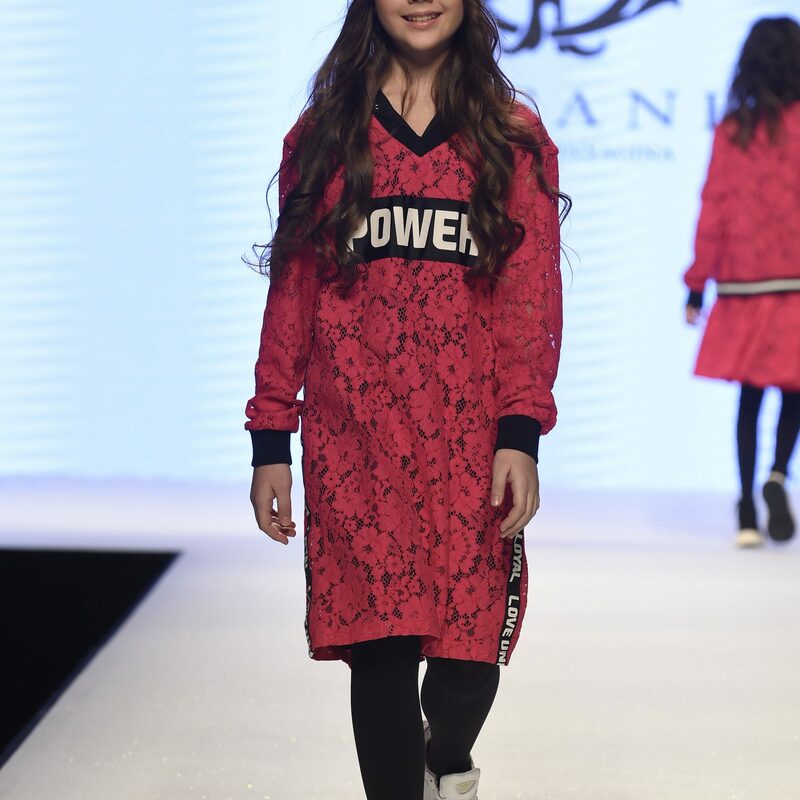 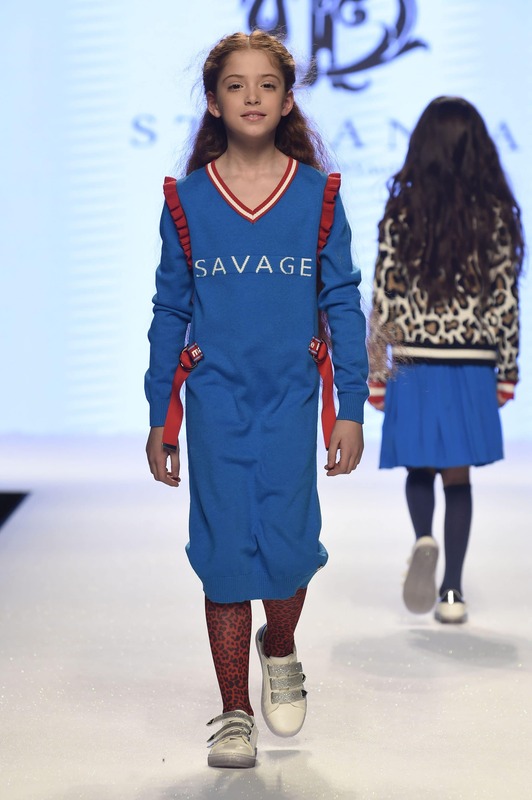 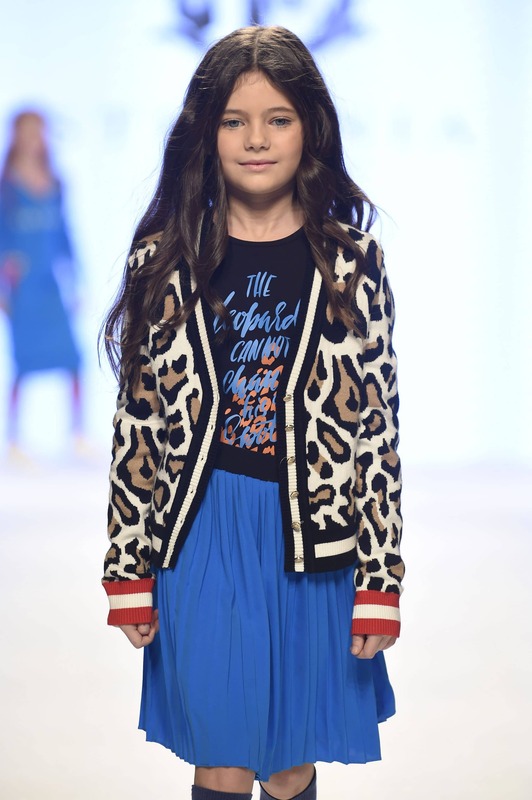 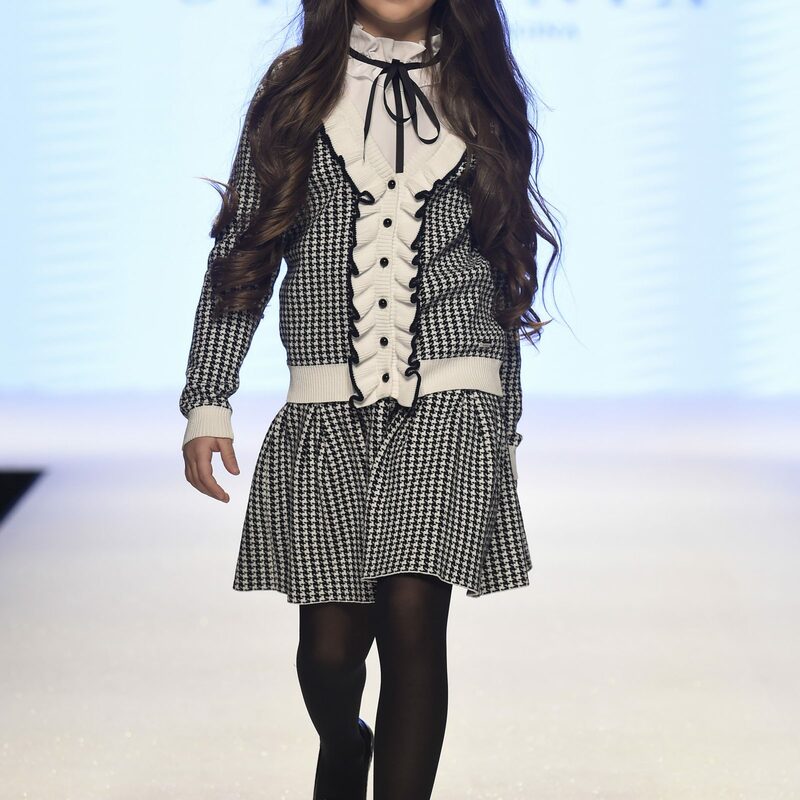 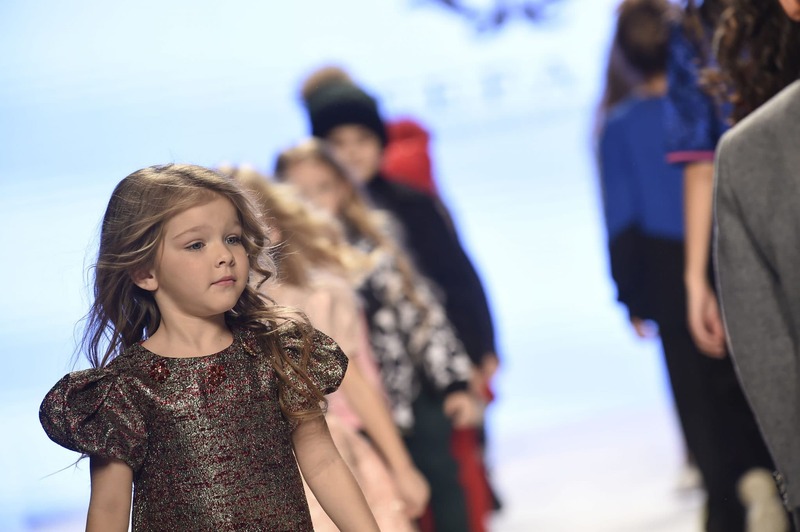 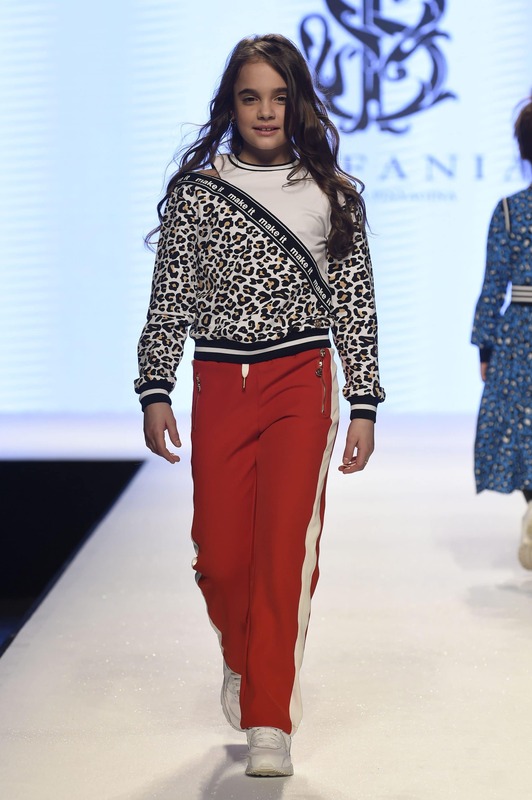 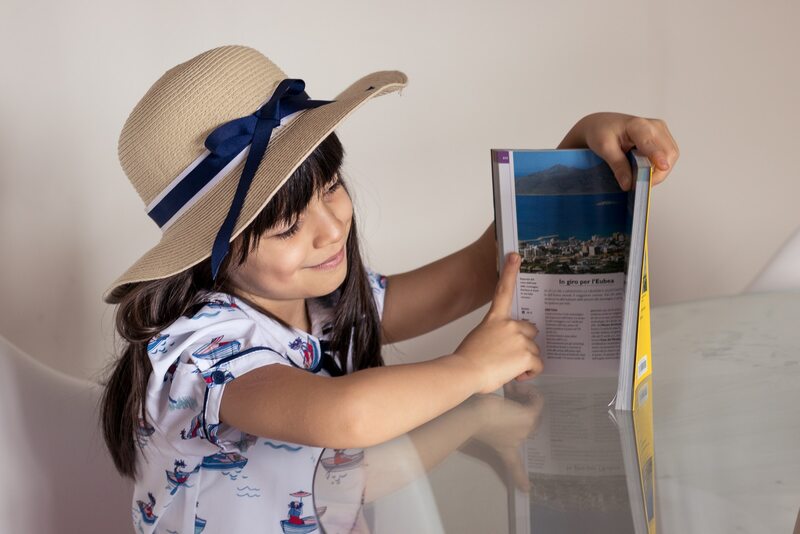 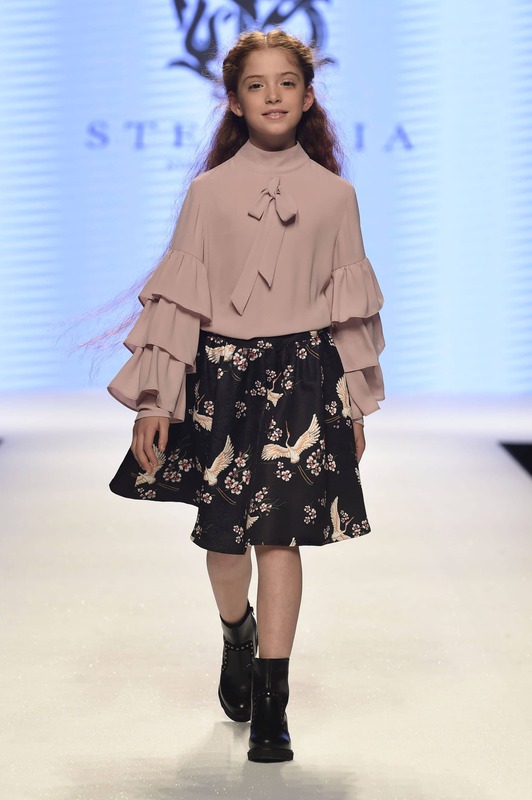 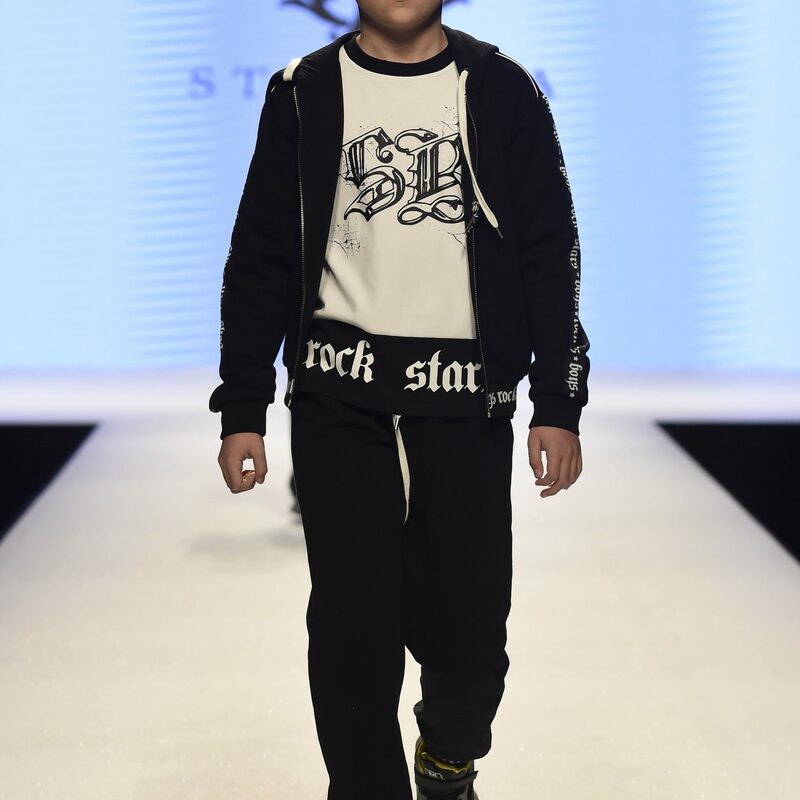 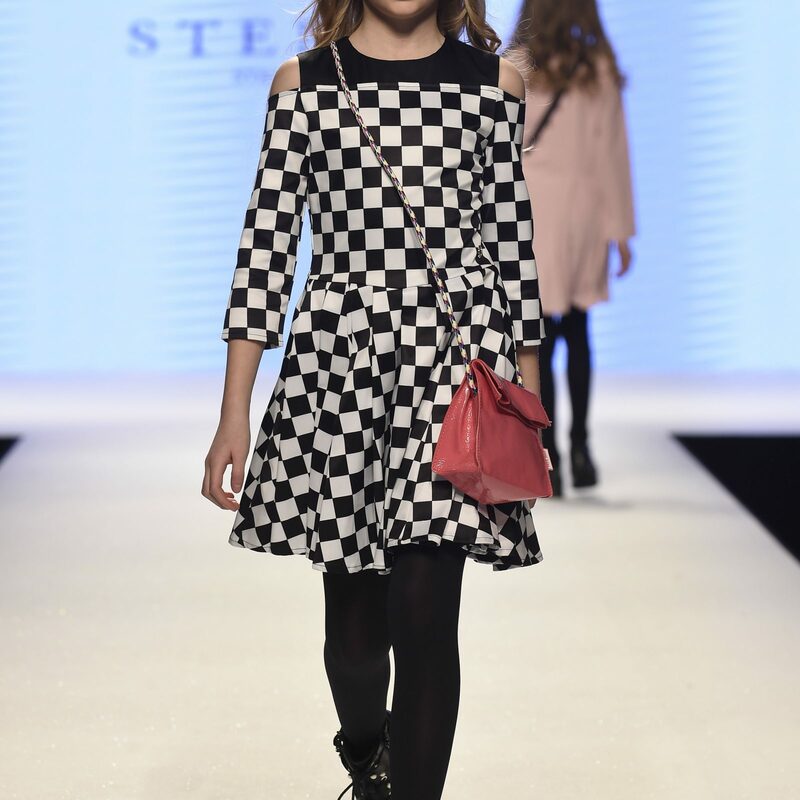 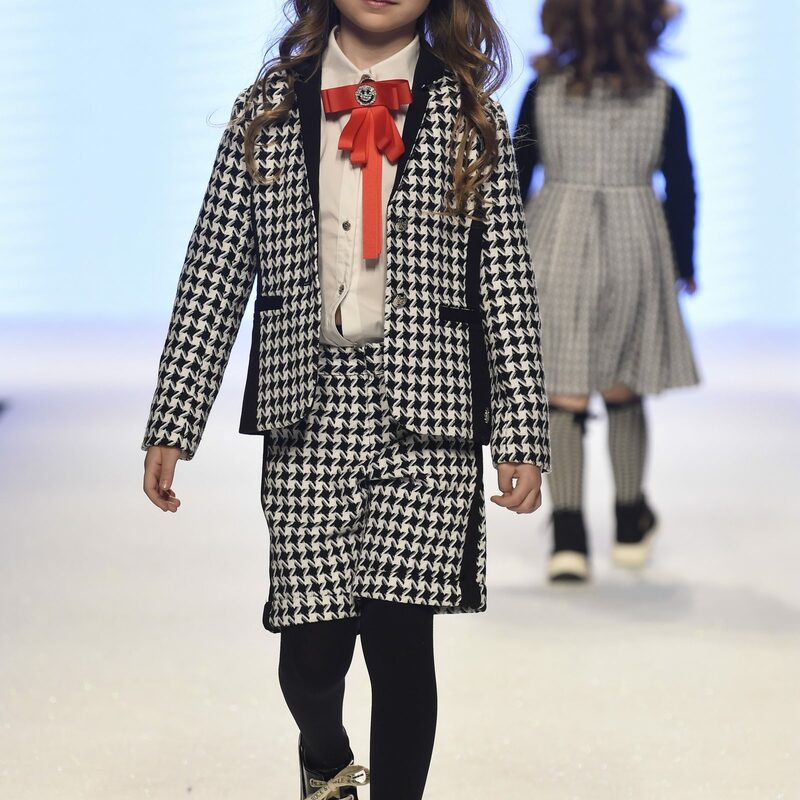 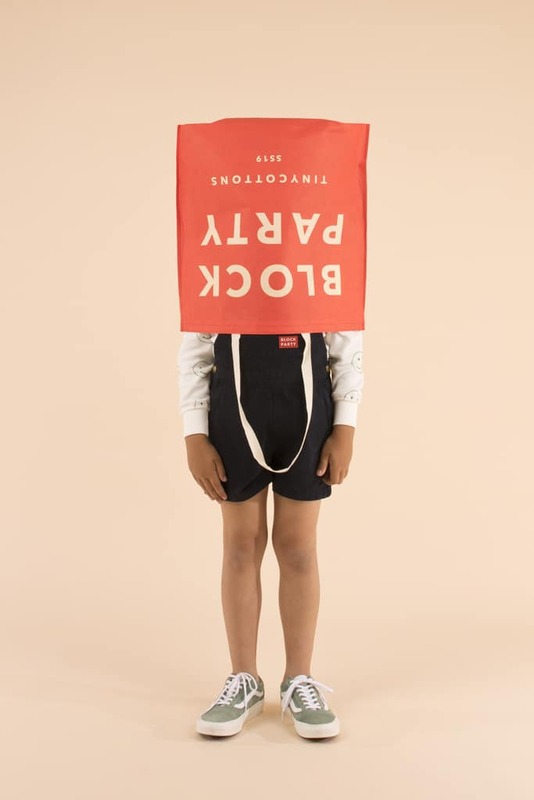 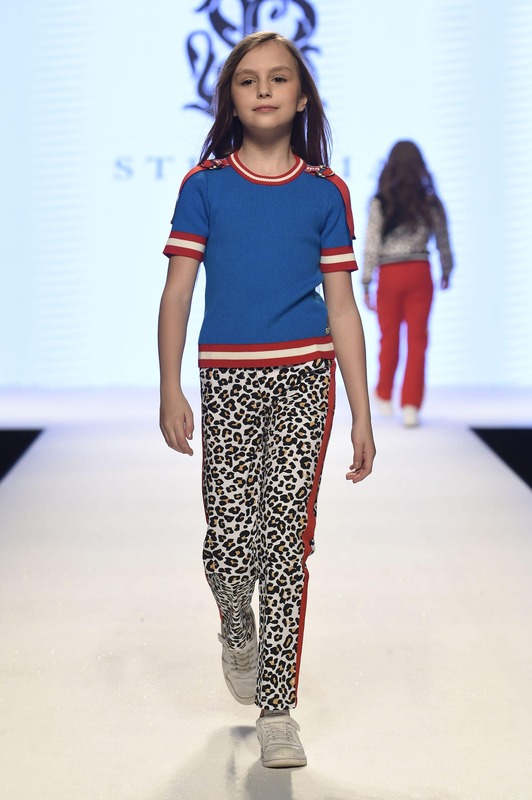 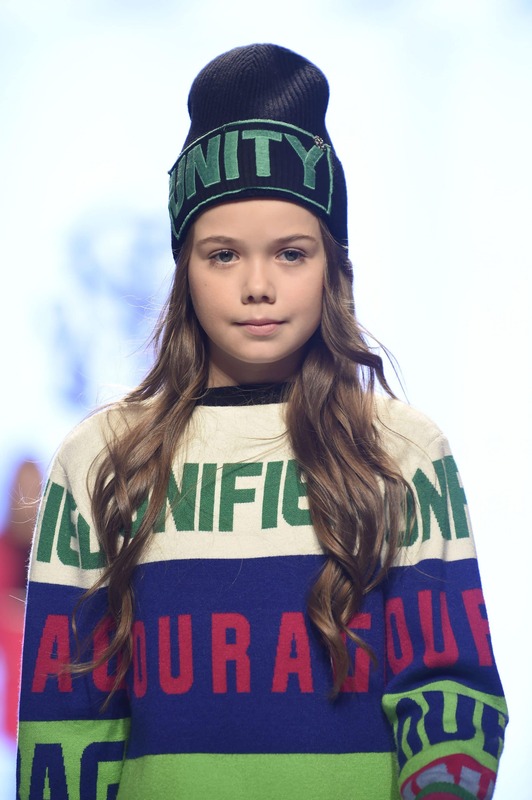 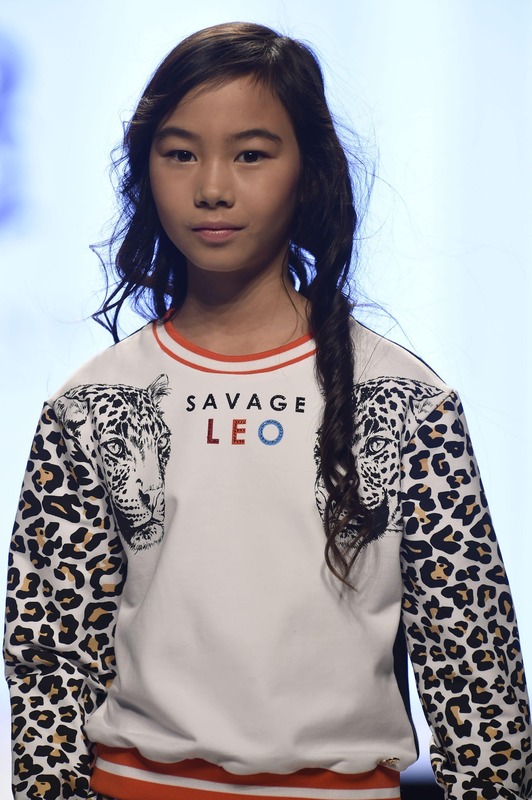 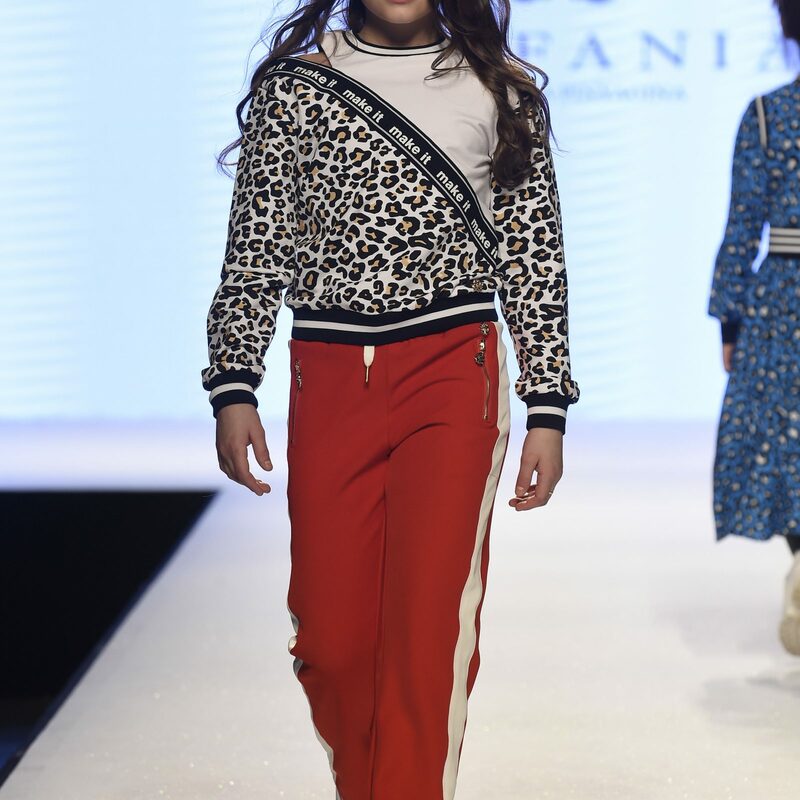 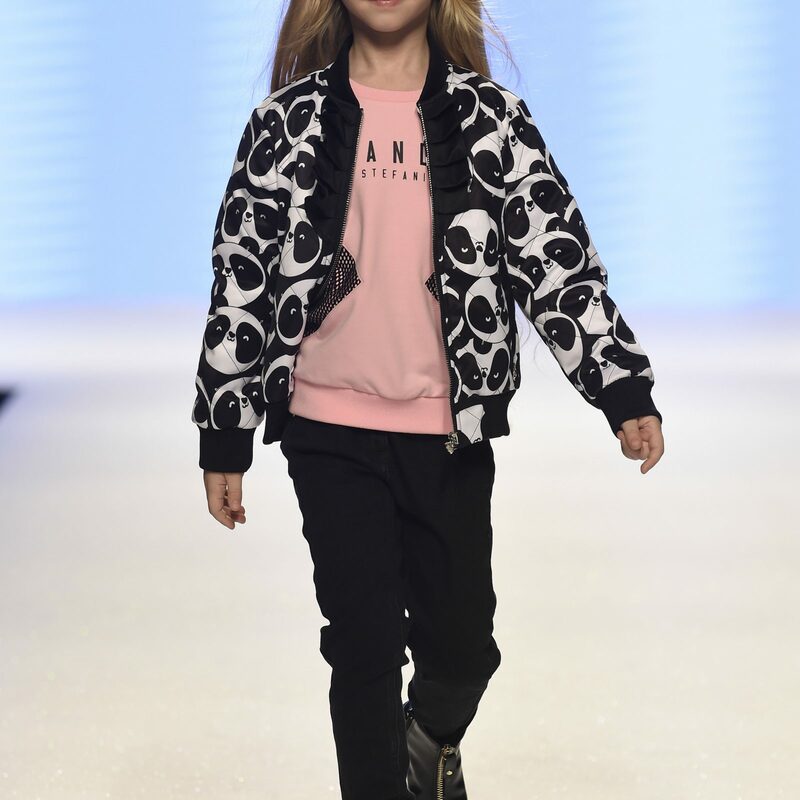 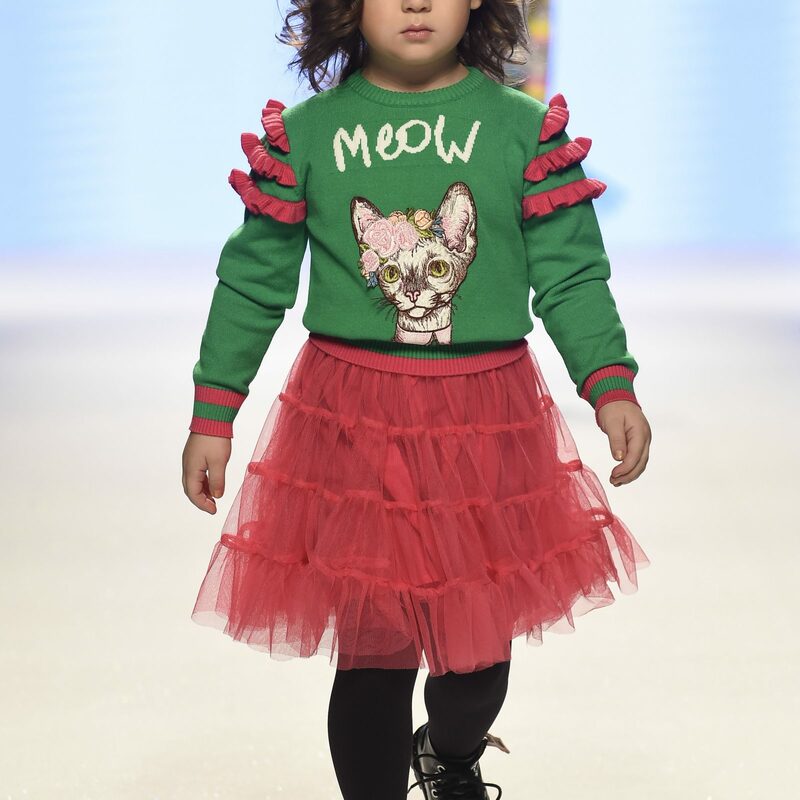 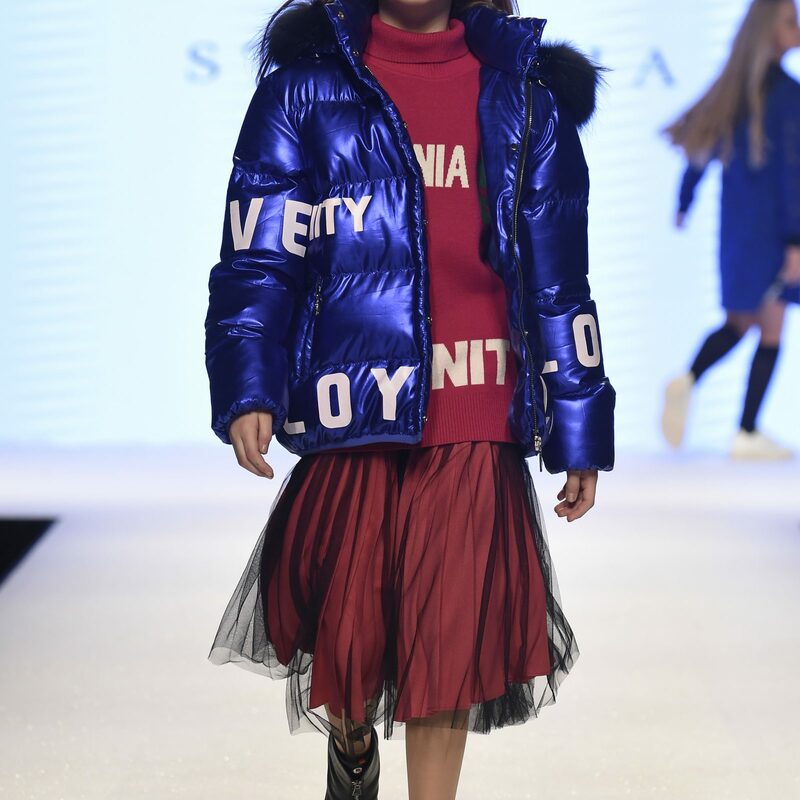 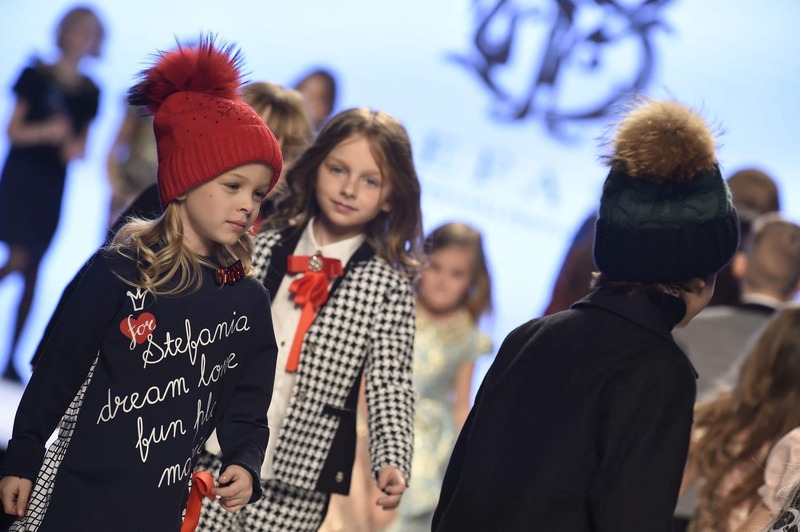 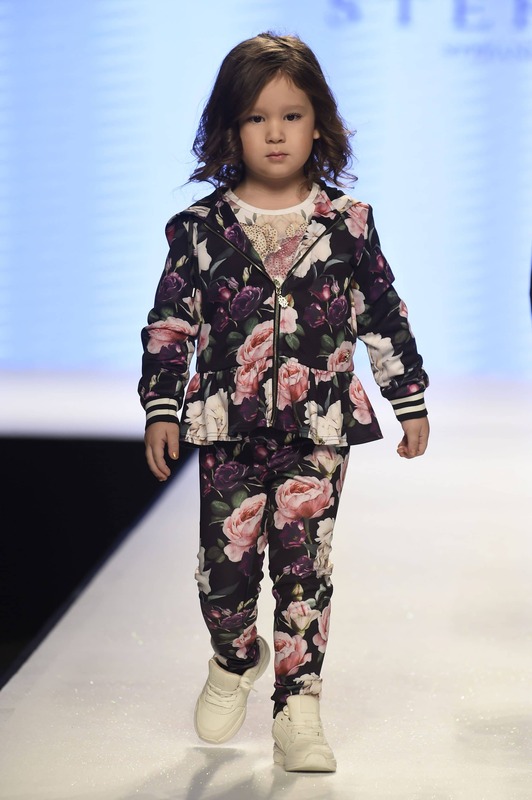 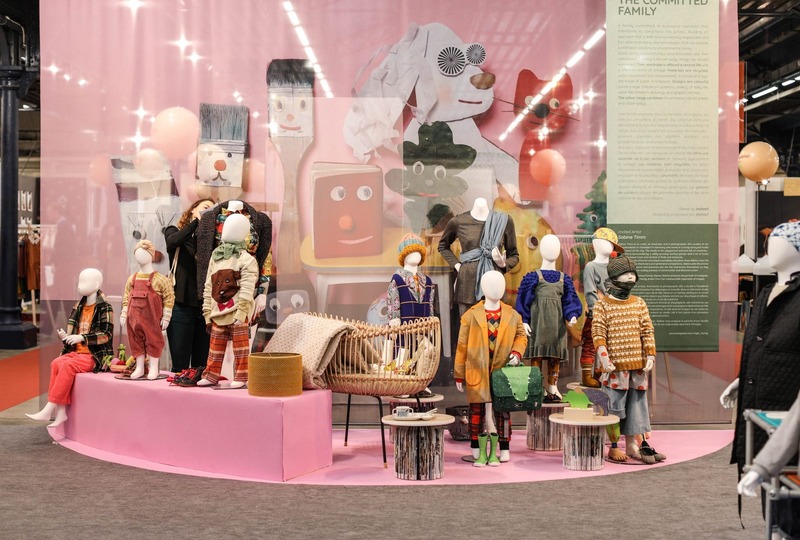 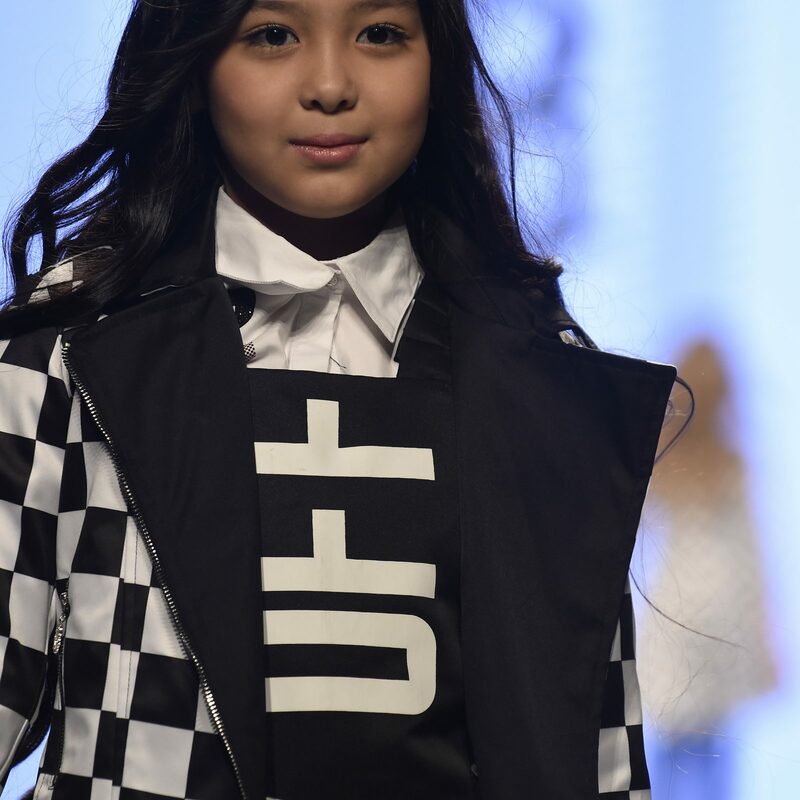 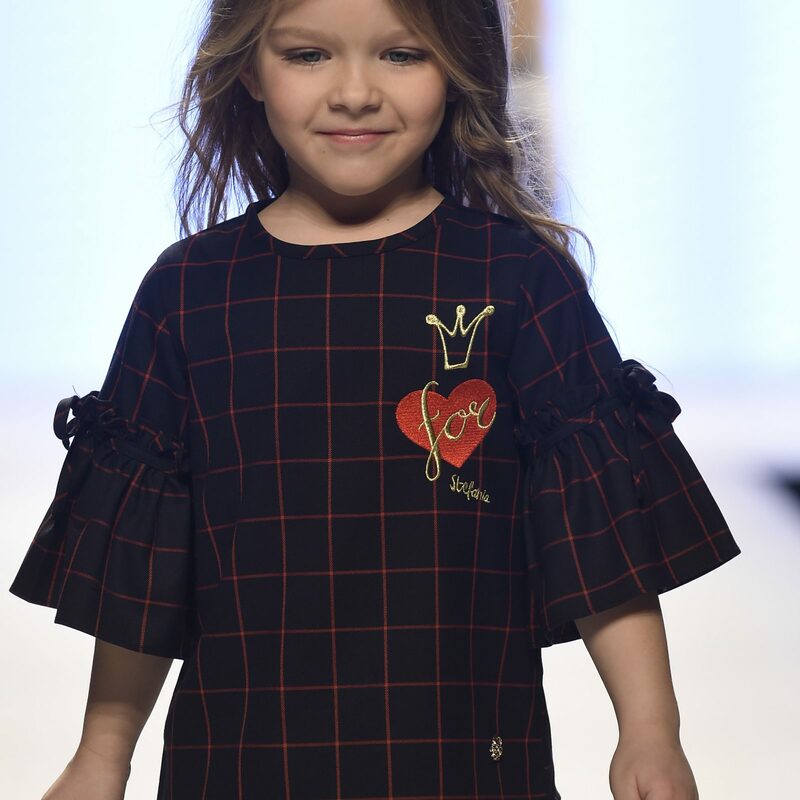 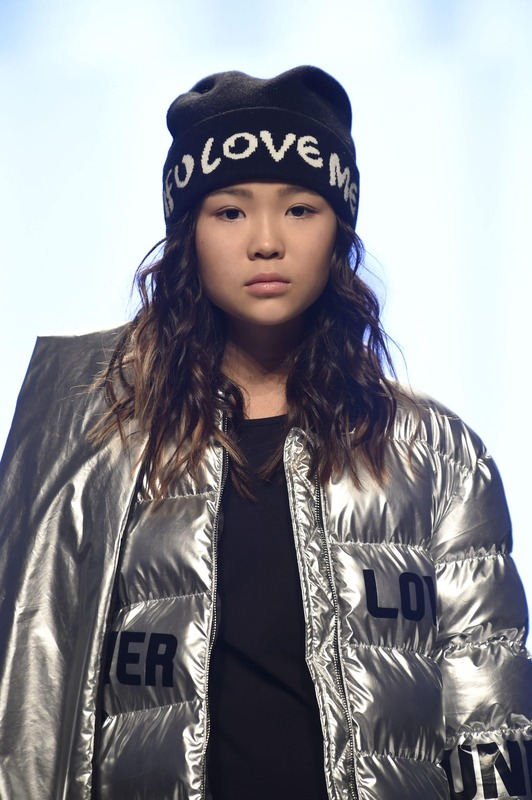 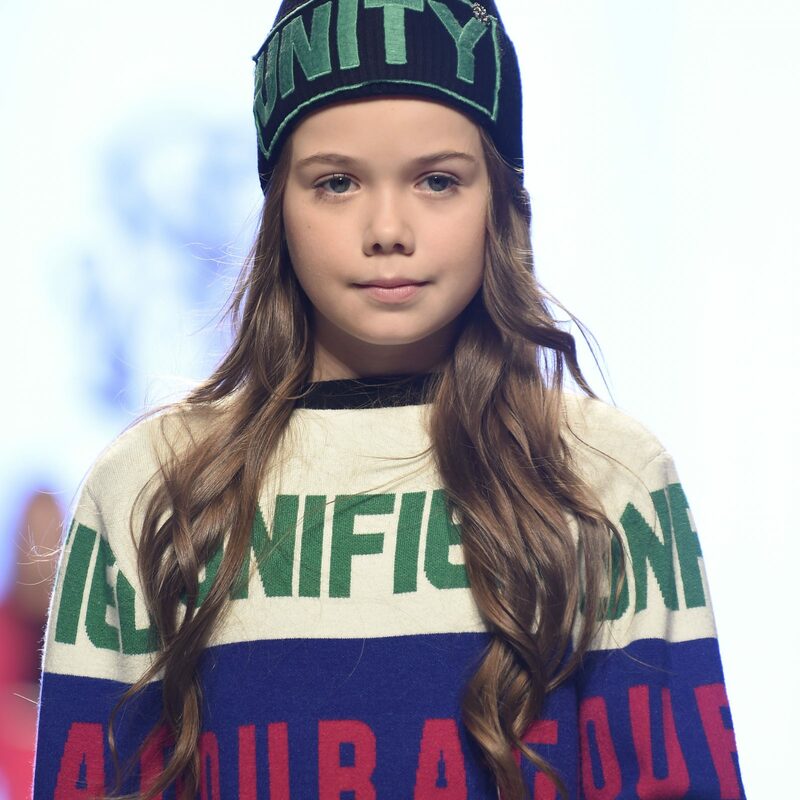 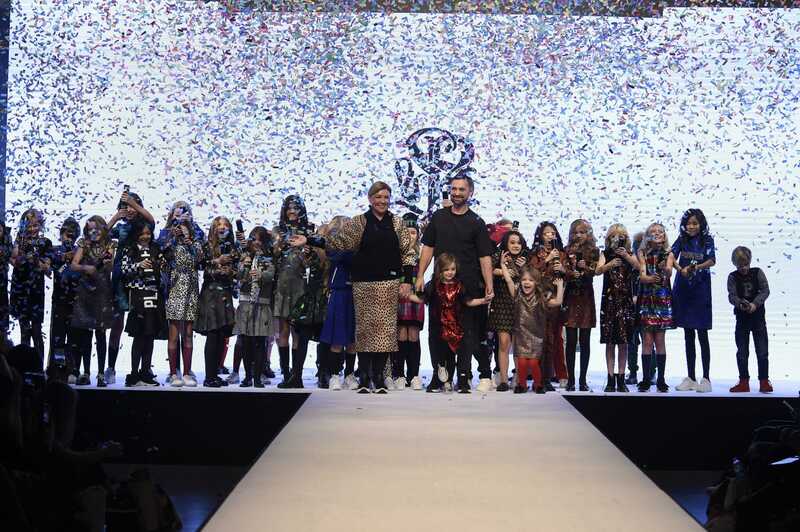 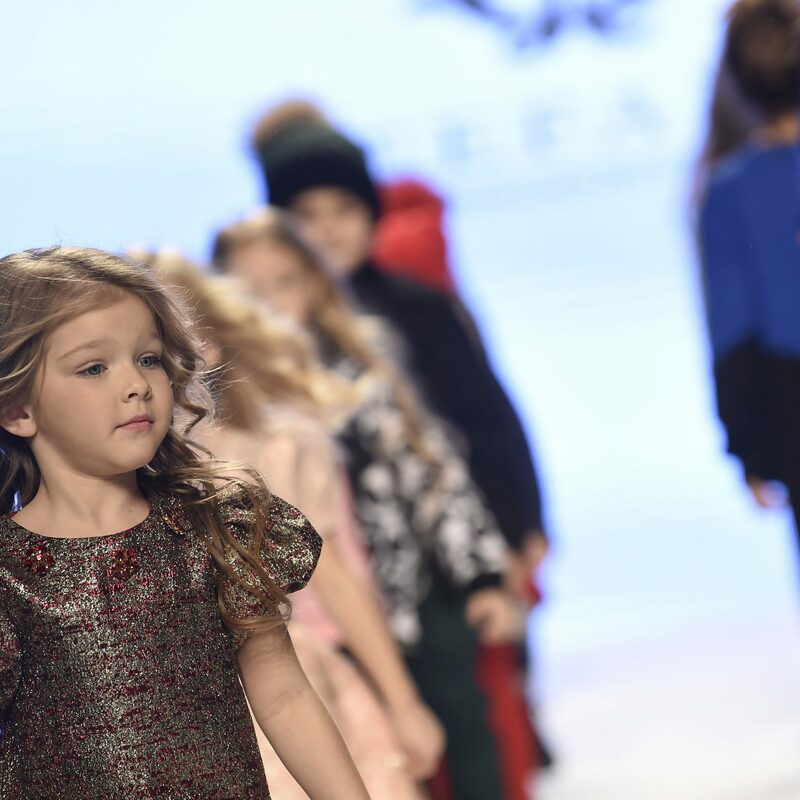 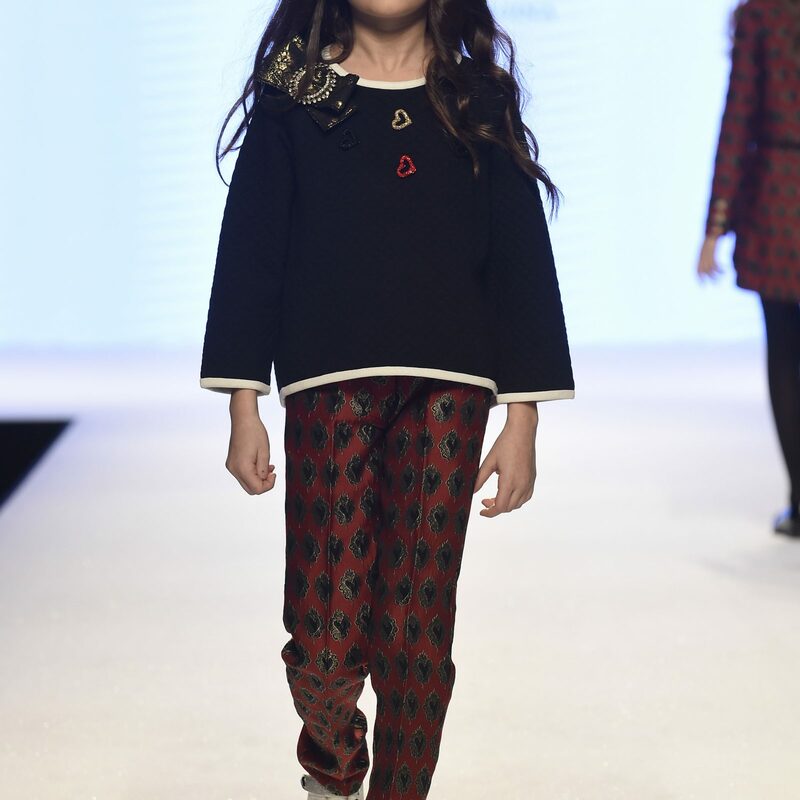 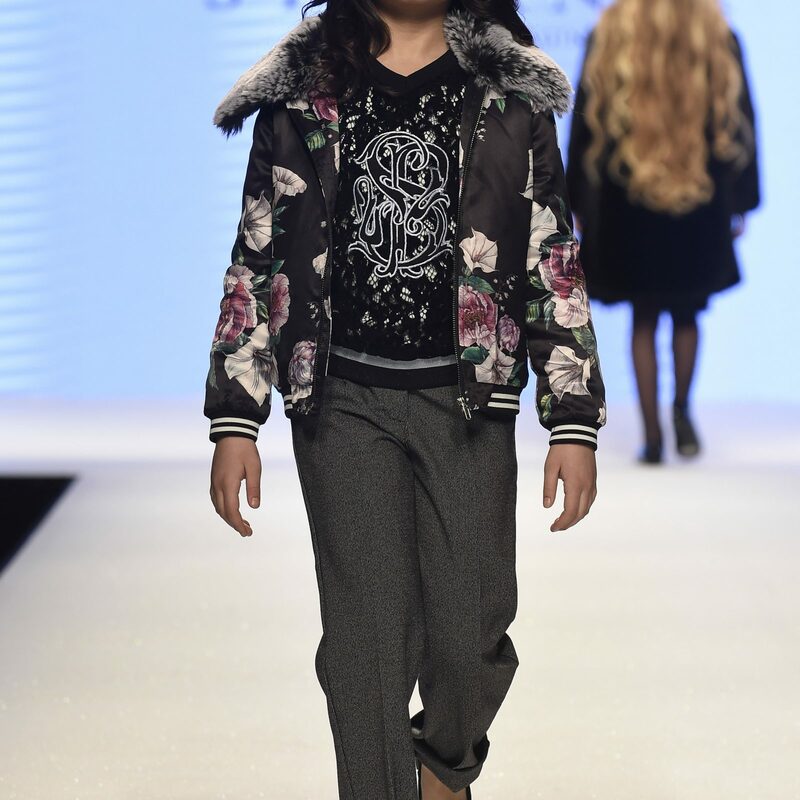 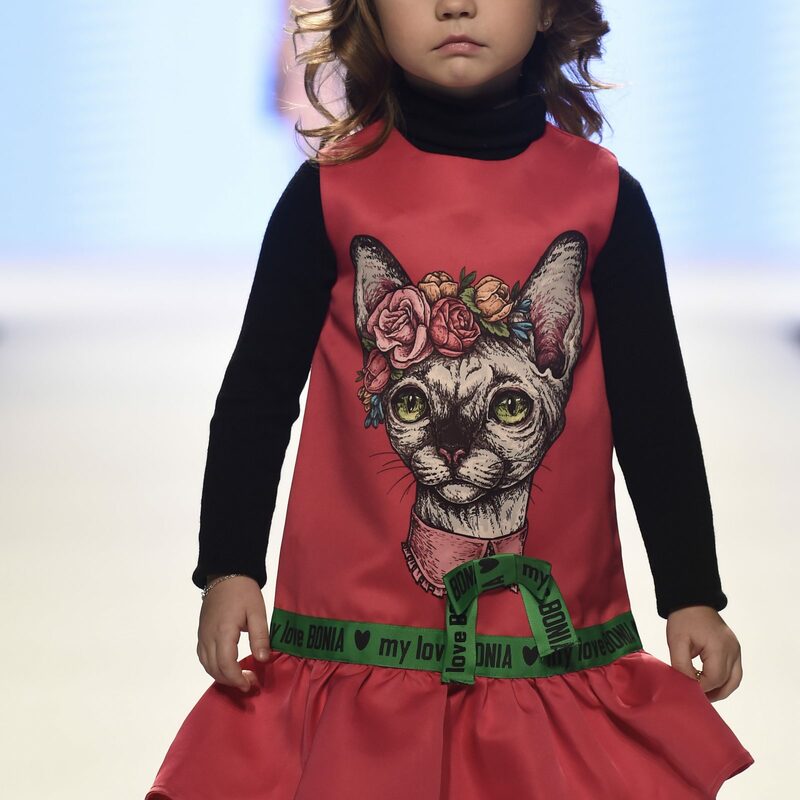 Stefania, the 5-year-old girl who owns already a international kids fashion brand, presented autumn winter 2019/20 collection at Pitti Bimbo 88. 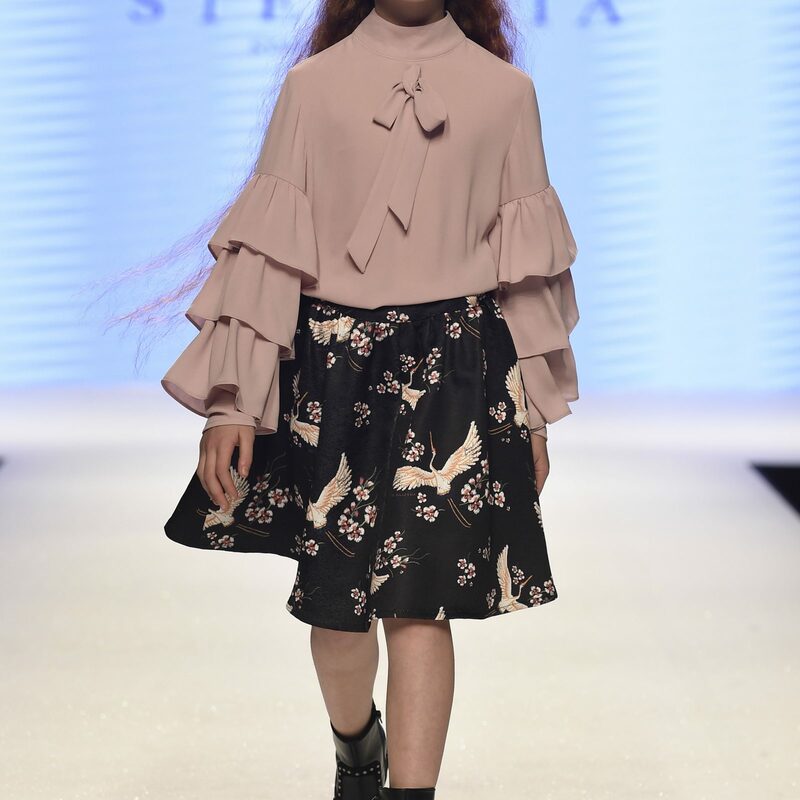 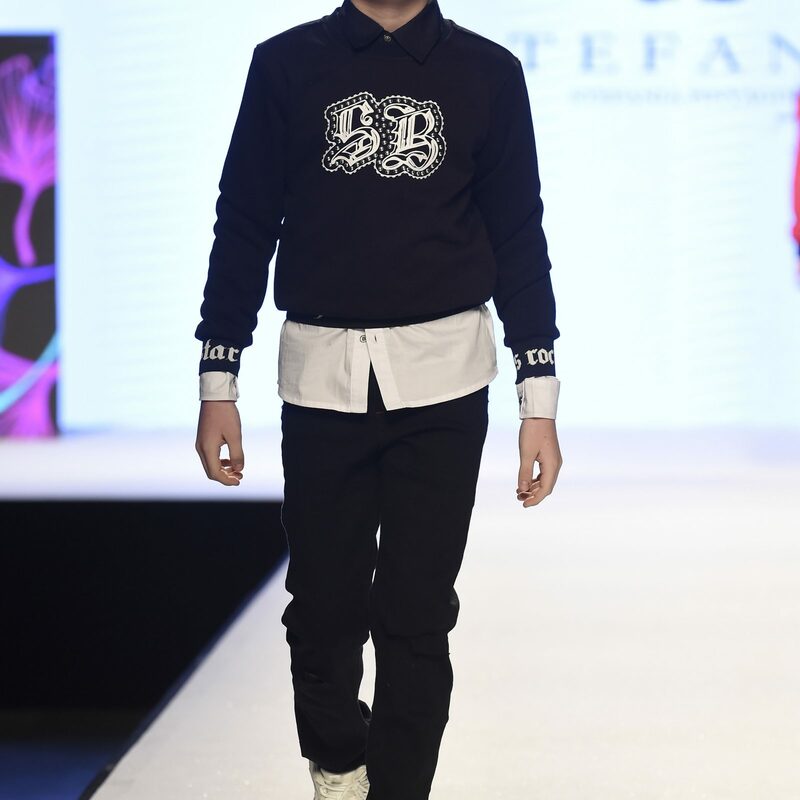 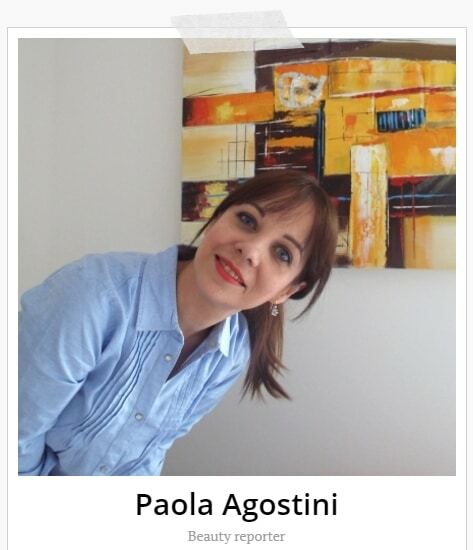 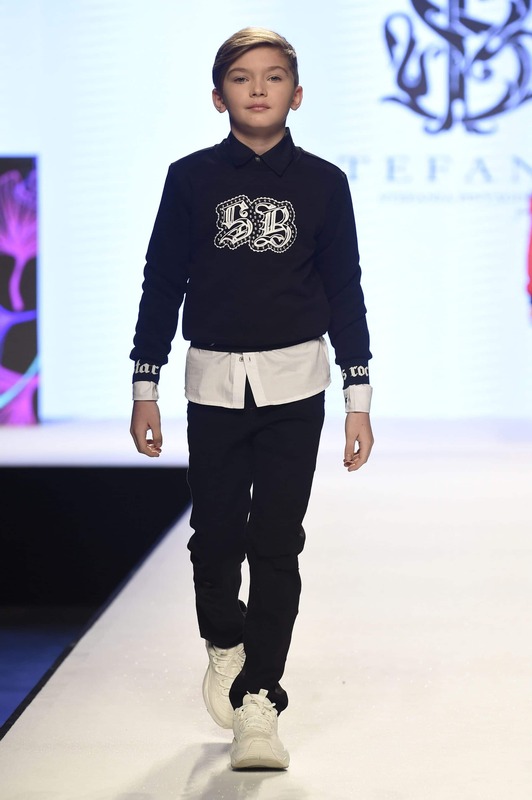 Stefania Pinyagina is a brand that gives voice to elegance and childish genuineness thanks to the meeting of two cultures: the Russian one, expressed in the richness of the details, and the Spanish one, expressed in the vivacity of colours. 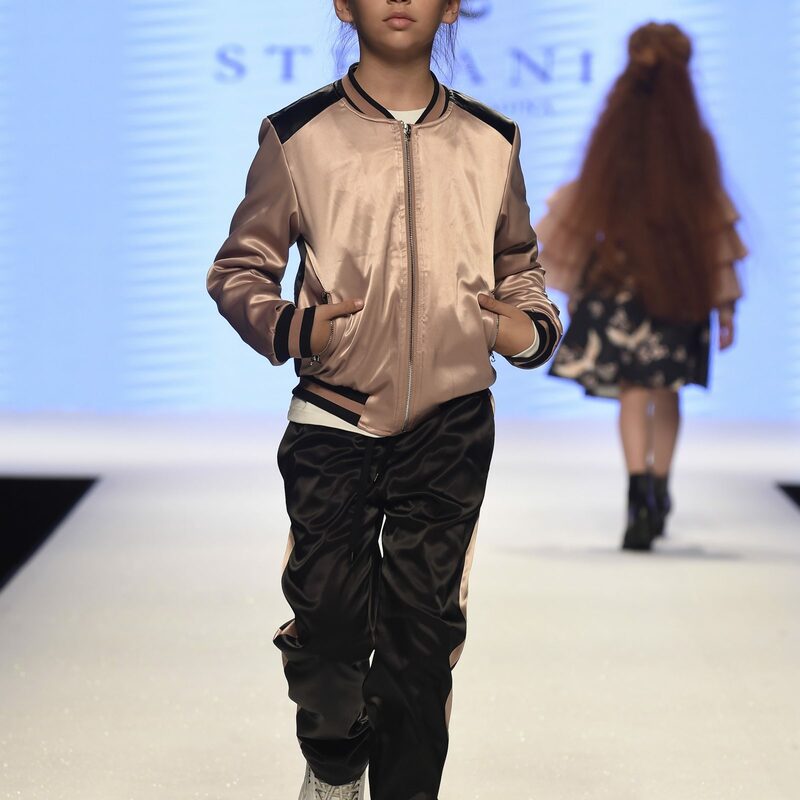 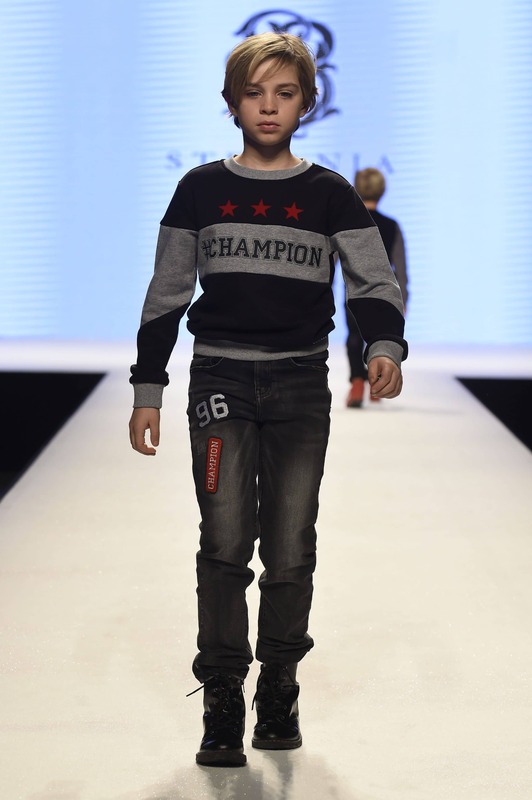 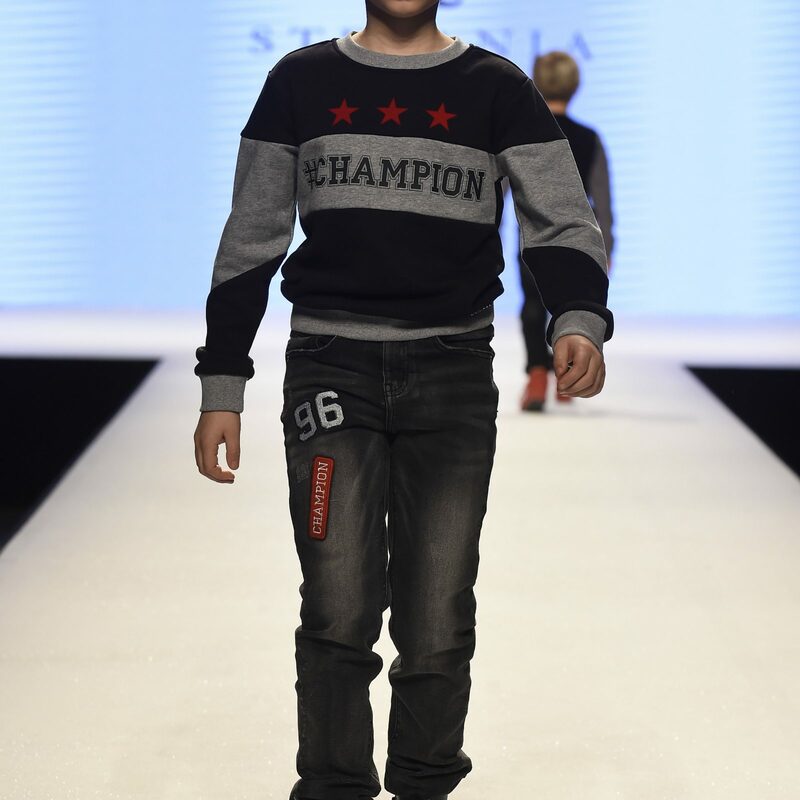 Also present at the previous edition of Pitti Bimbo, Stefania Pinyagina opens to the Italian market not only with the fashion show at Pitti Bimbo 88, but also with a new showroom (in Via Sottocorno, 50 – Milan) where the brand exhibits the collections and welcomes national and international buyers. 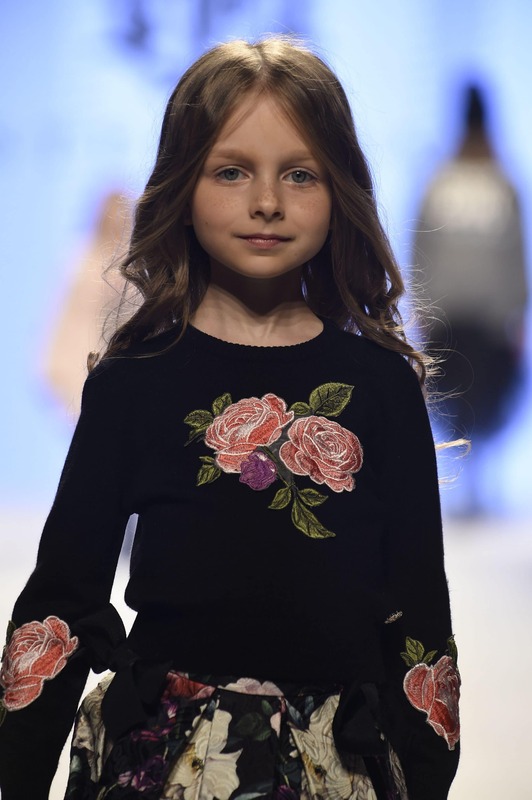 Warm colours, such as bordeaux and grey, and comfortable tones will be the must-haves during the next season, to meet, as the soul of the brand wants, the perfect balance between attention to detail and perfection of style. 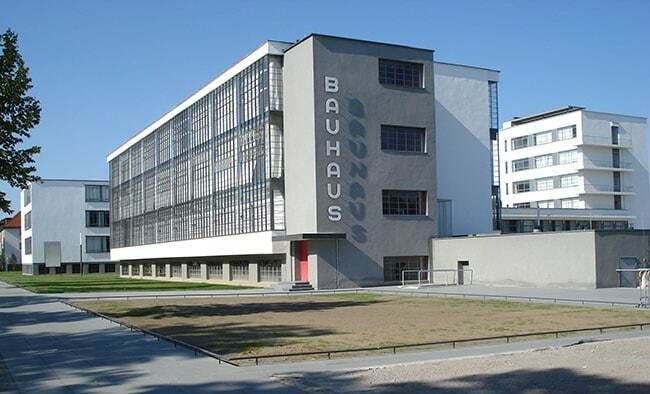 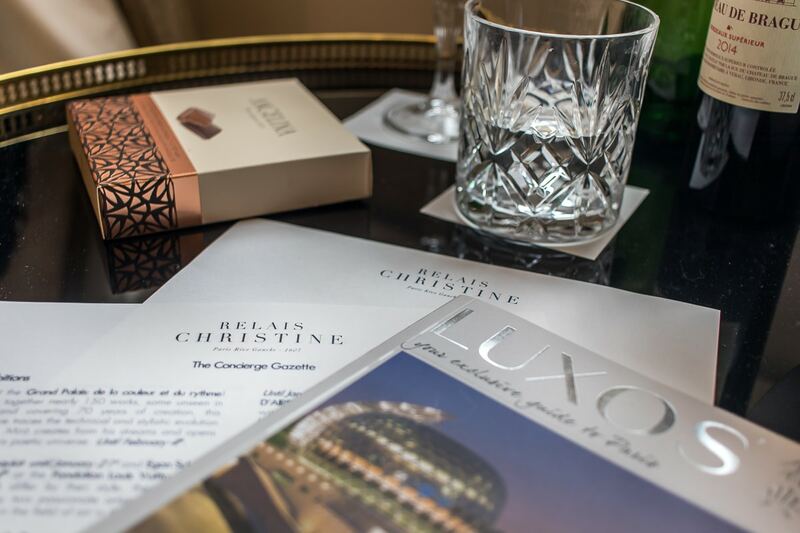 Refinement and audacity to express personality and exclusivity. 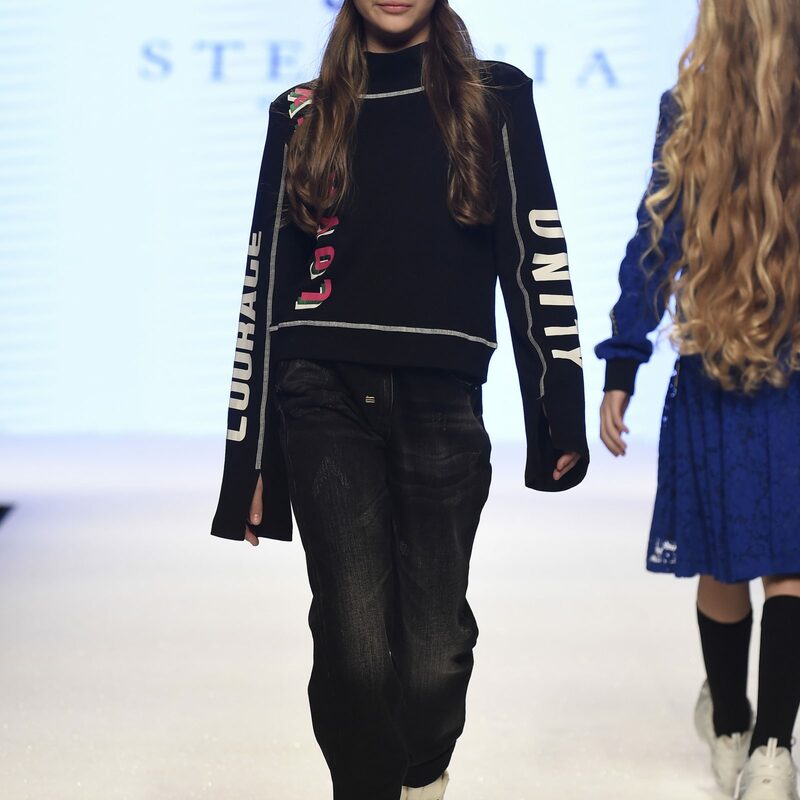 Luxury in design and materials, Stefania Pinyagina presents a collection articulated in different lines, to meet the needs of everyone. 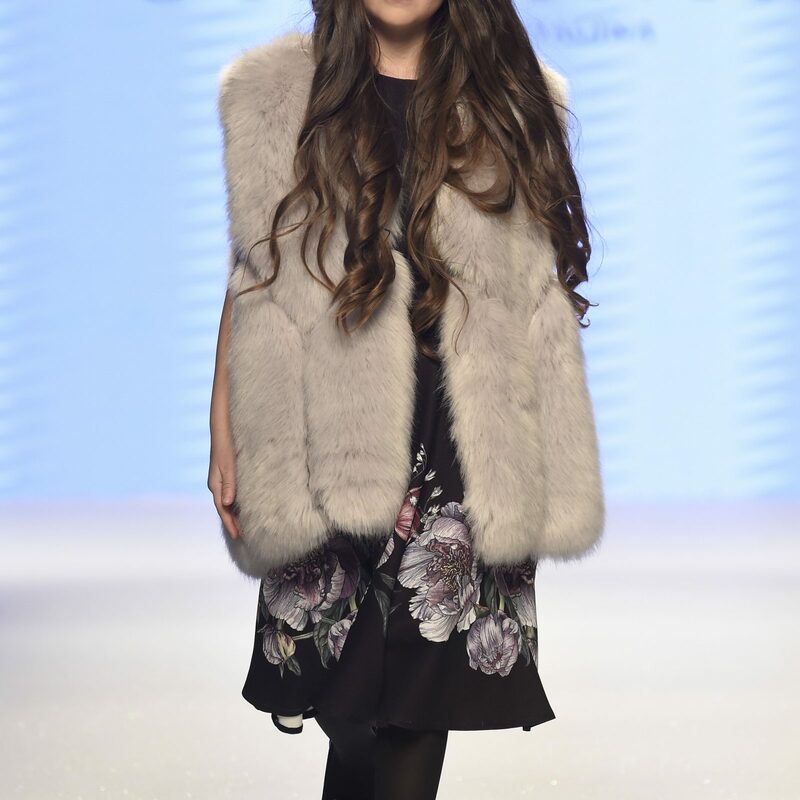 Fromthe chic look, to celebrate the uniqueness, to the active one, to enhance the spontaneity. 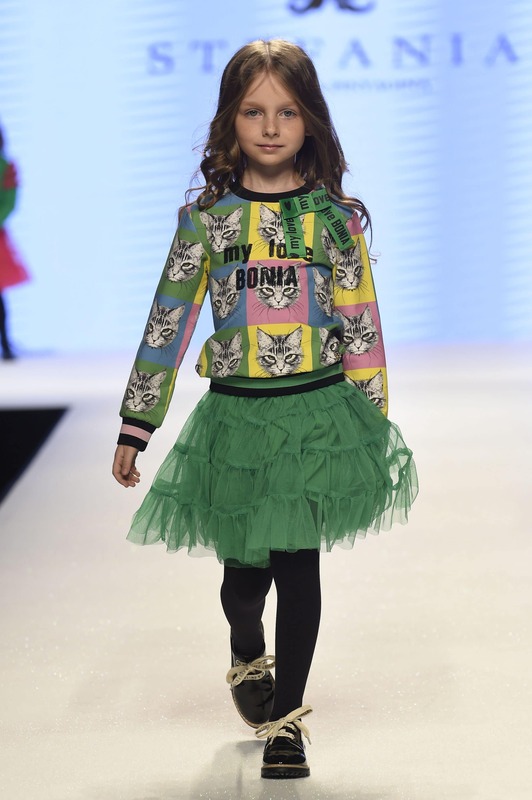 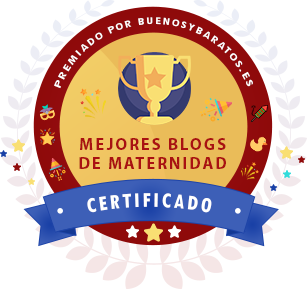 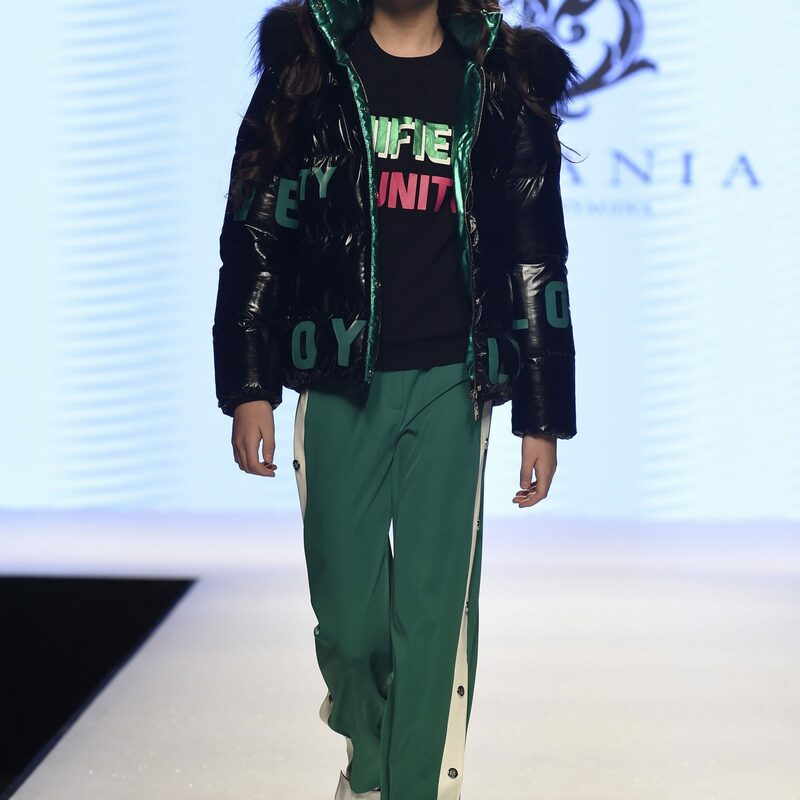 But not only that: Pop outfit, which take back the most vivid colors of the palette of the season, combining green and yellow, pink and blue for mini dresses and also for comfy suits, a hymn to joy as only children know. 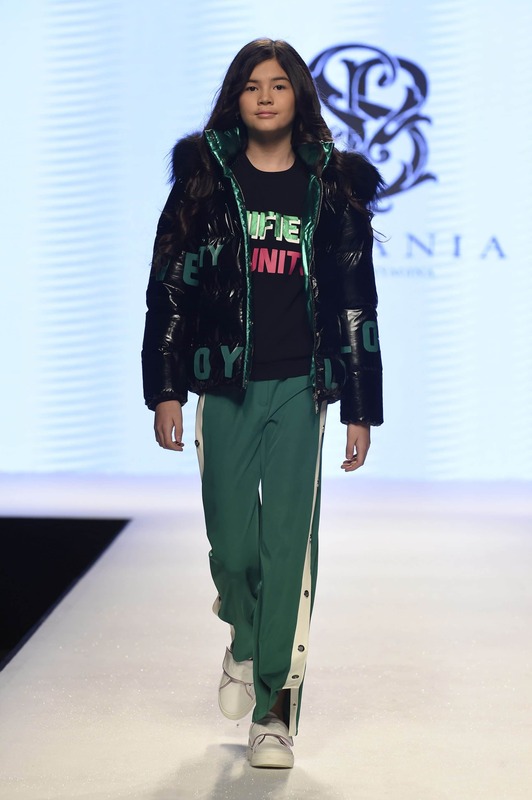 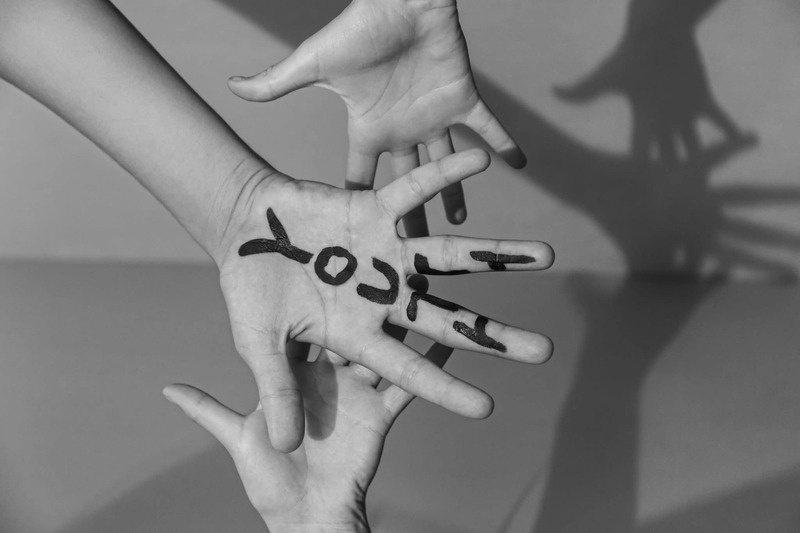 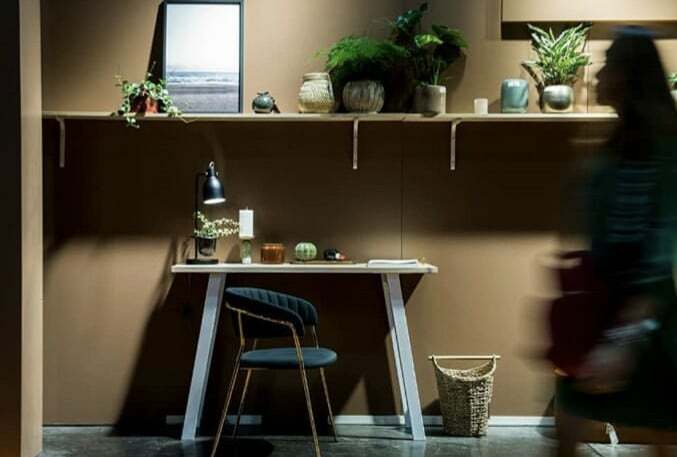 The FW19/20 collection has as many as sixteen different thematic lines to satisfy all tastes and needs. 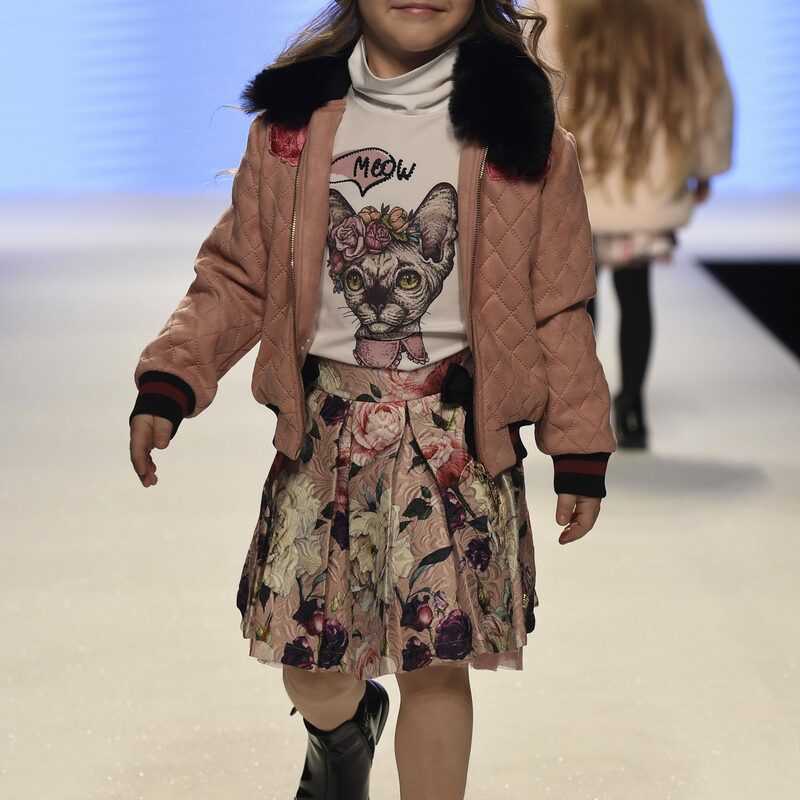 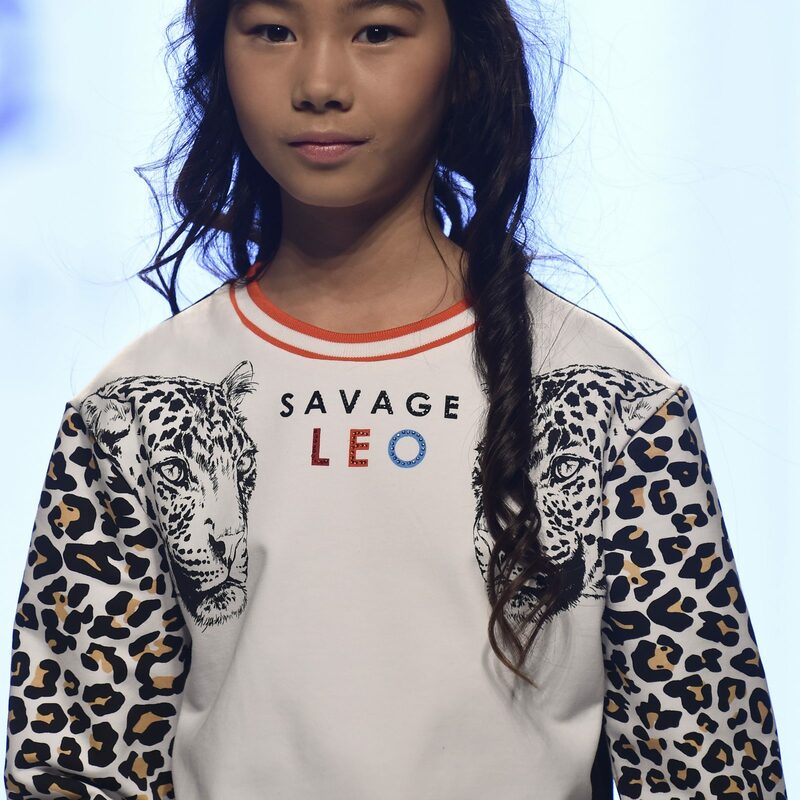 The small fans of the cats will be very happy to see pictures of kittens and leopard prints (almost a classics for Stefania Pinyagina) in the collection CAT MANIA. 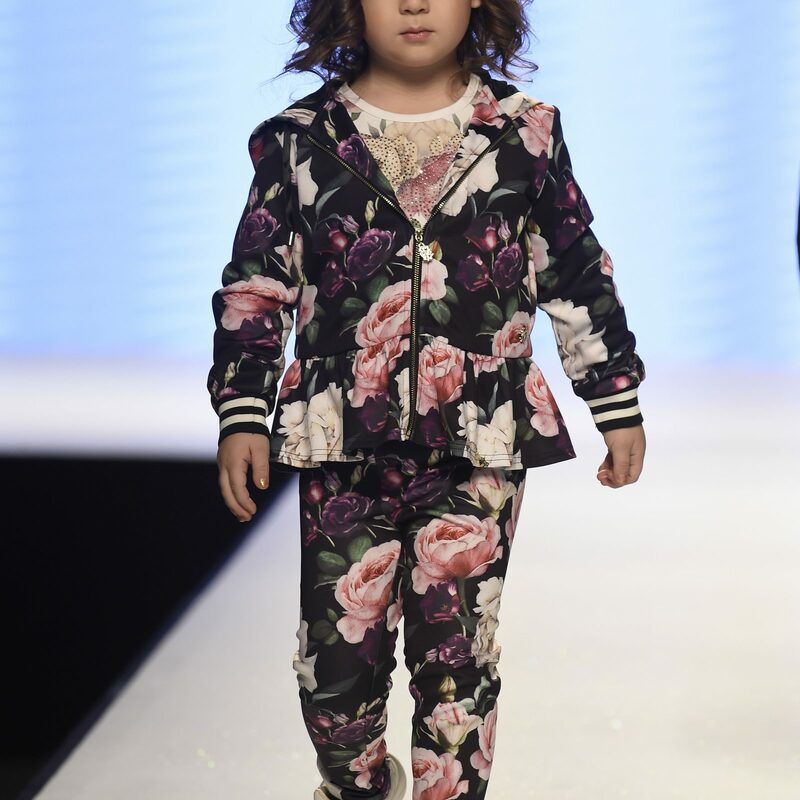 FLORA COLLECTION highlights highly expressive prints with large flowers, in the most saturated and deep tones. 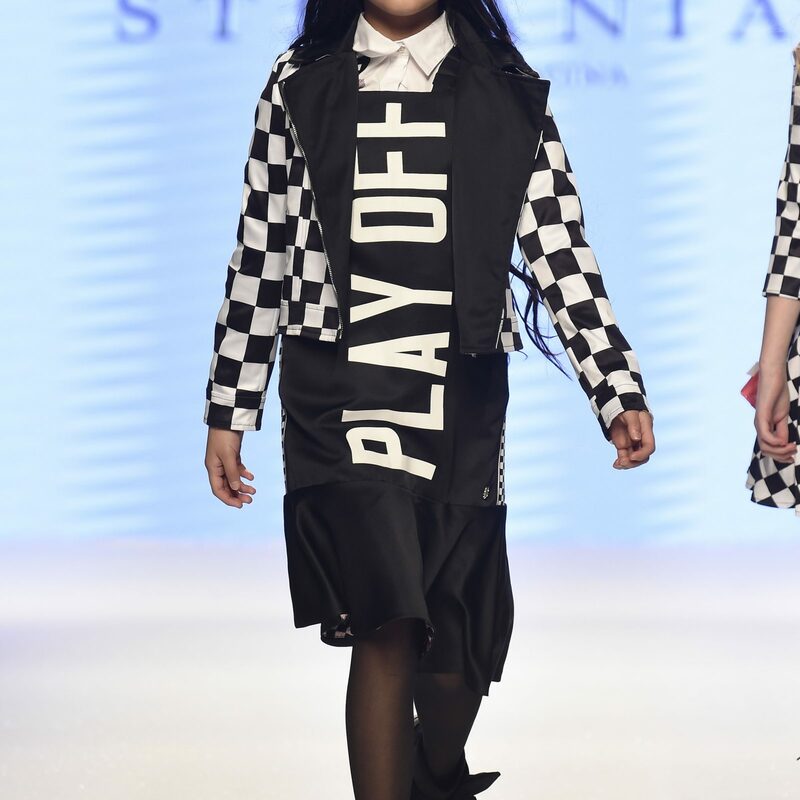 And, for the older girls, sport-chic combines with glamour without neglusing the comfort and clever design thanks to the PLAYOFF line. 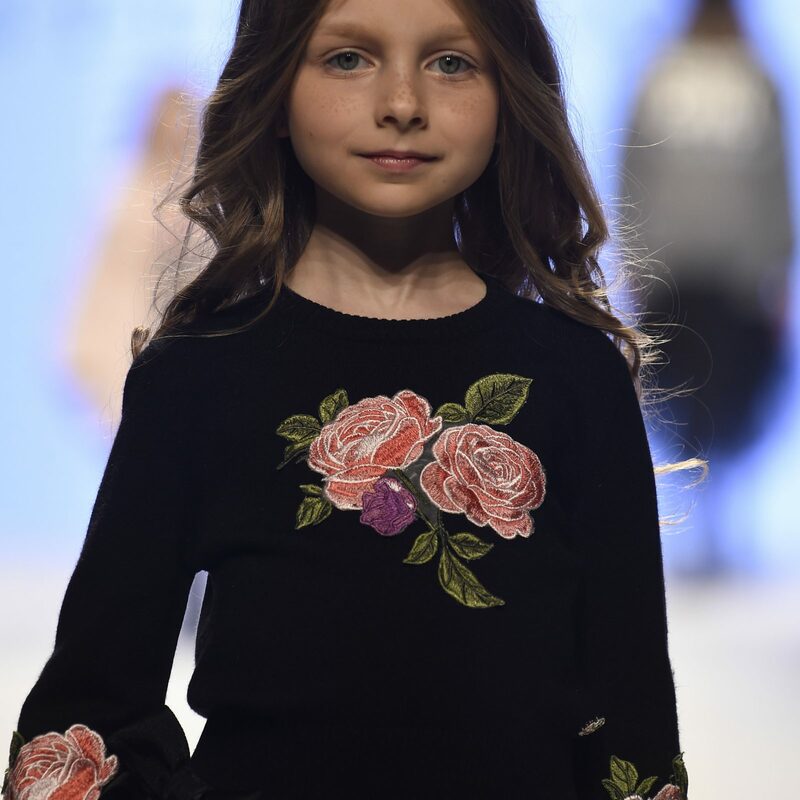 Determination and elegance are the values that tell the story of the brand, which plans a rapid evolution in Italy and throughout Europe.